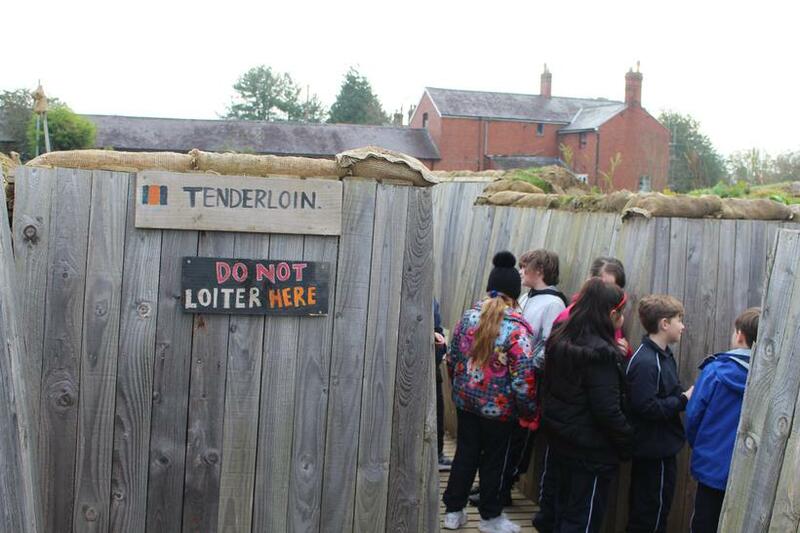 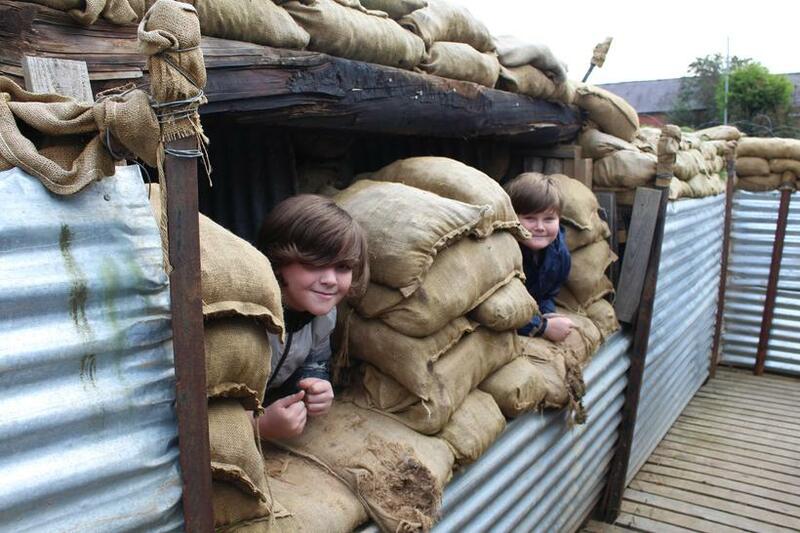 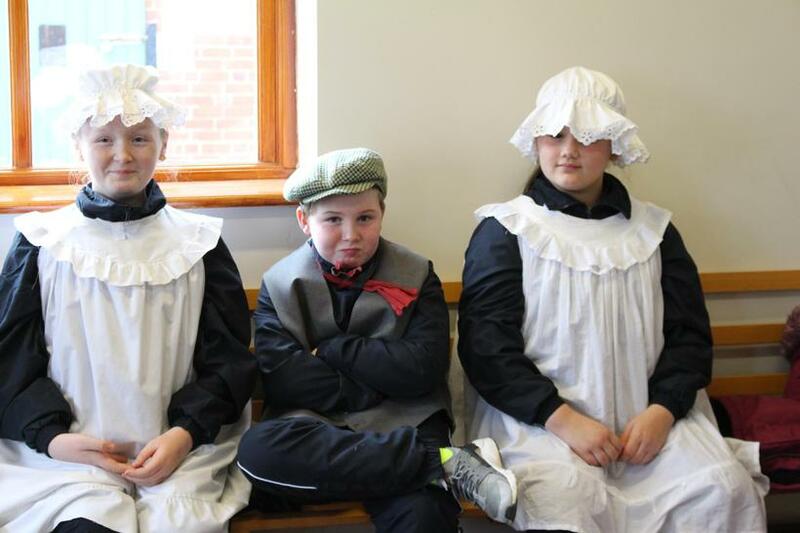 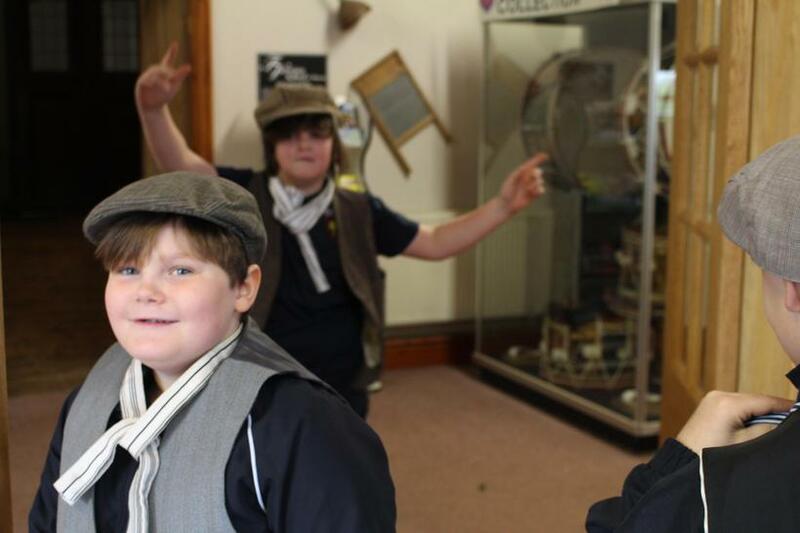 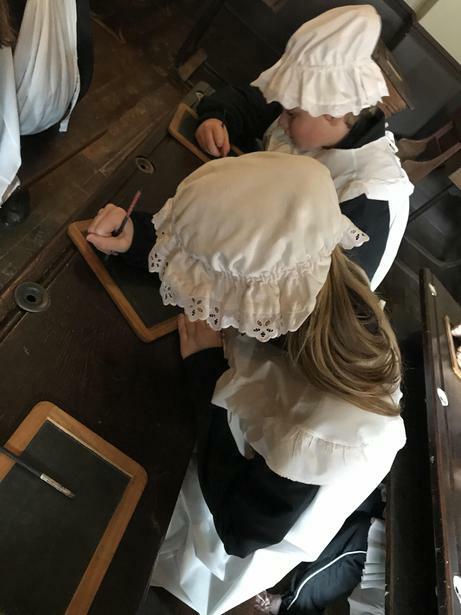 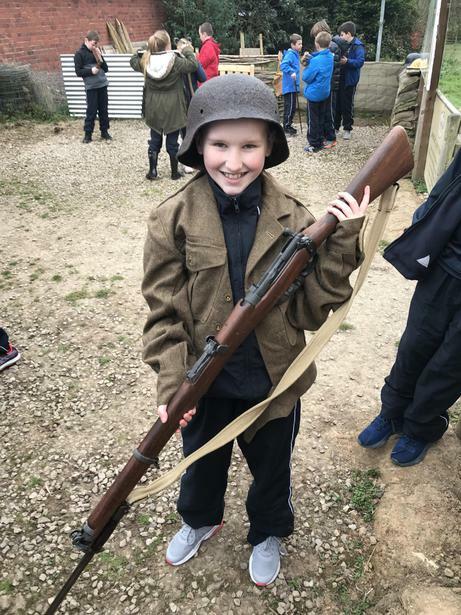 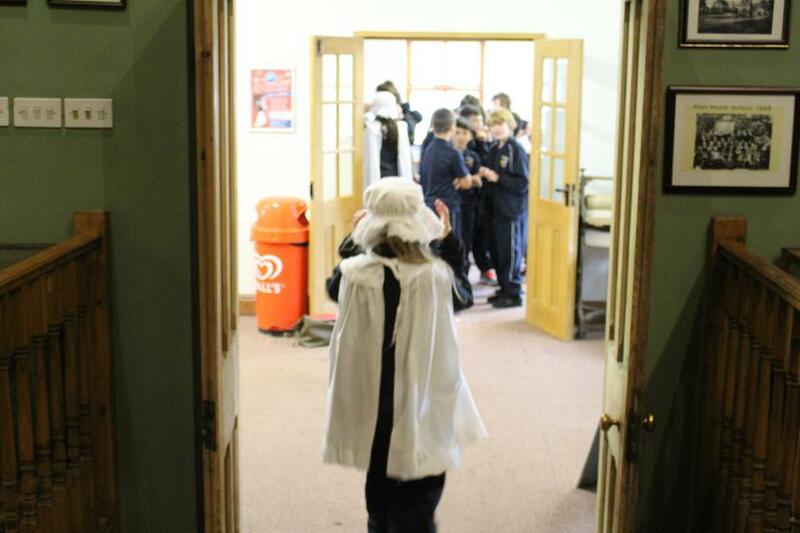 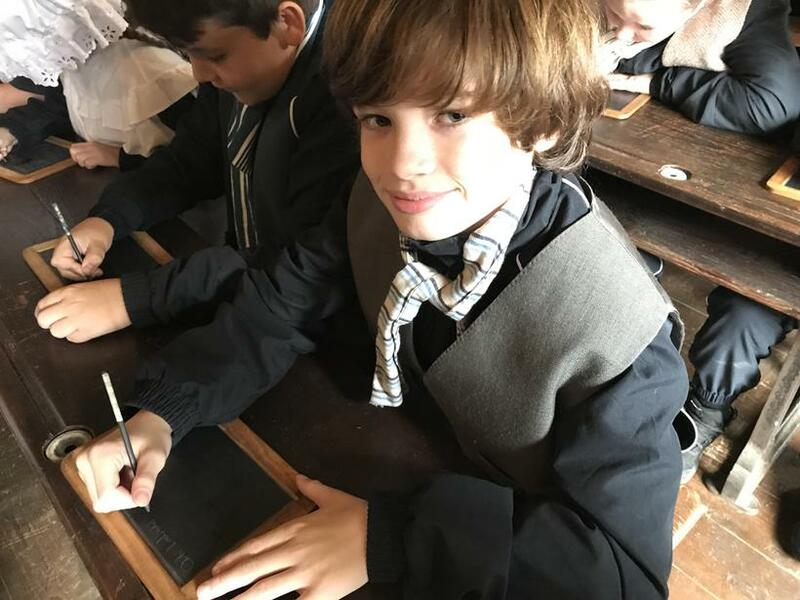 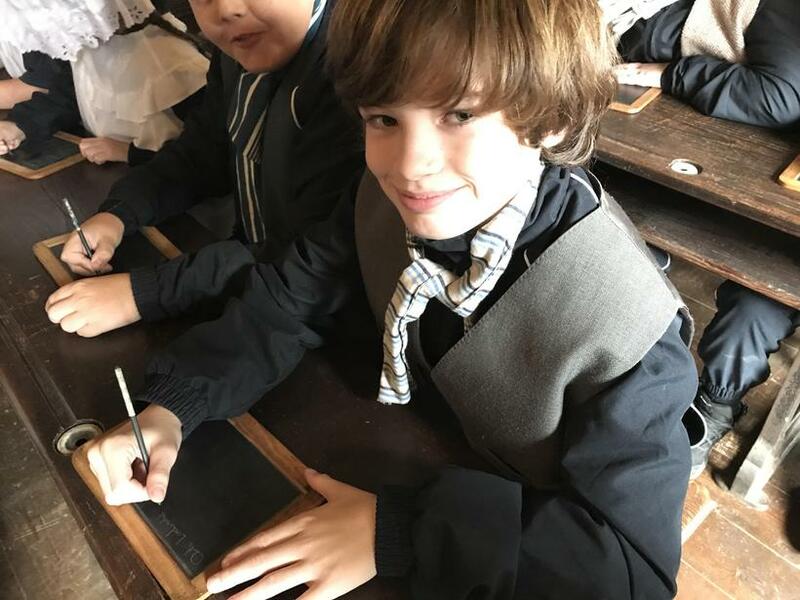 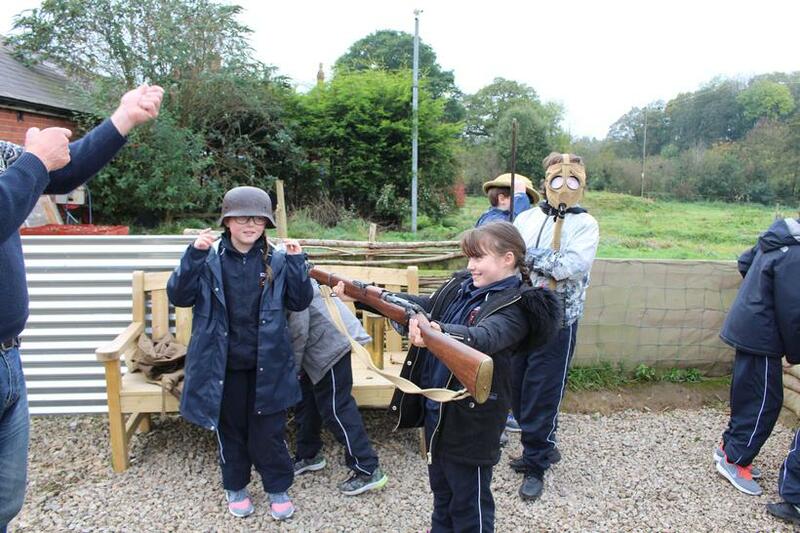 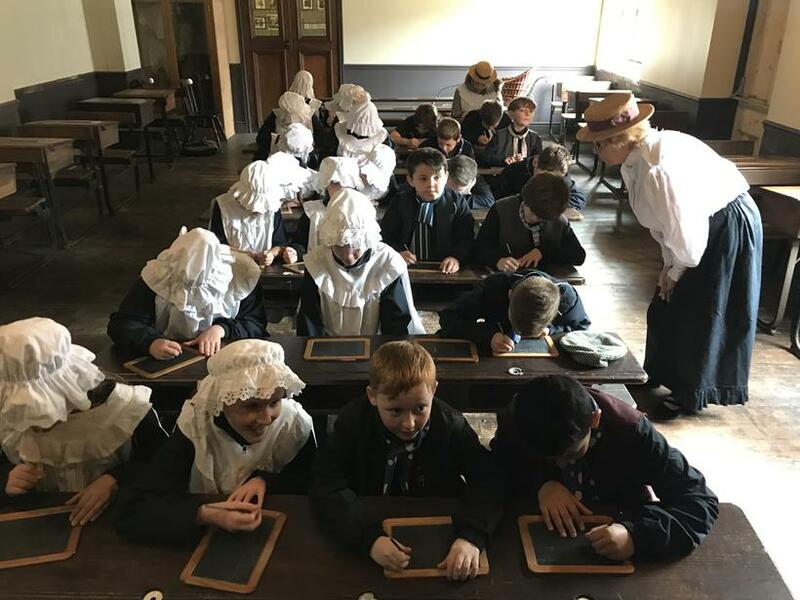 Today, Year 6 went back in time to bring history alive. 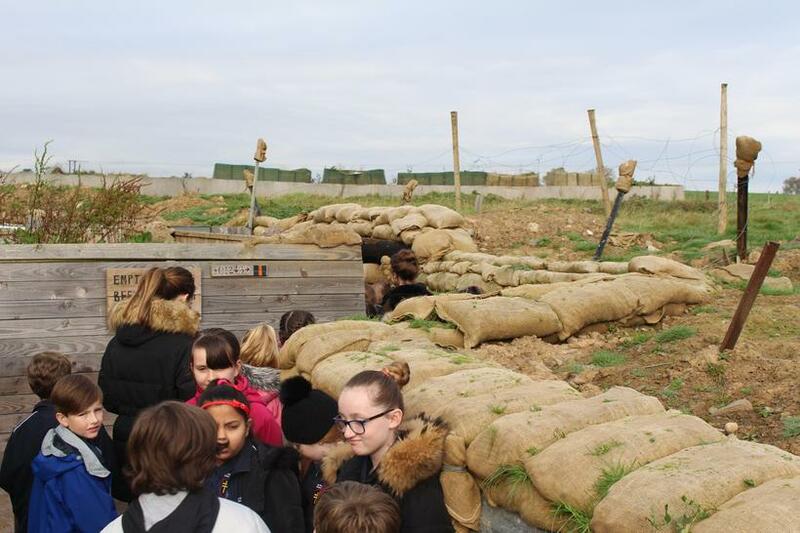 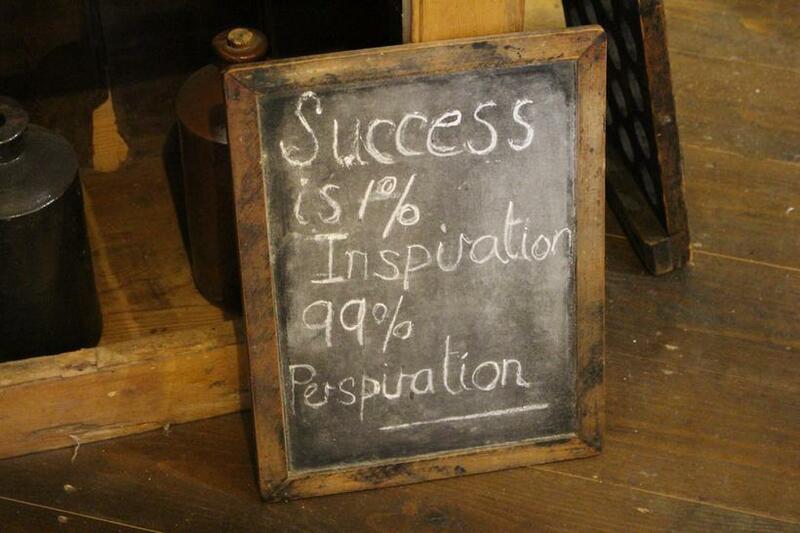 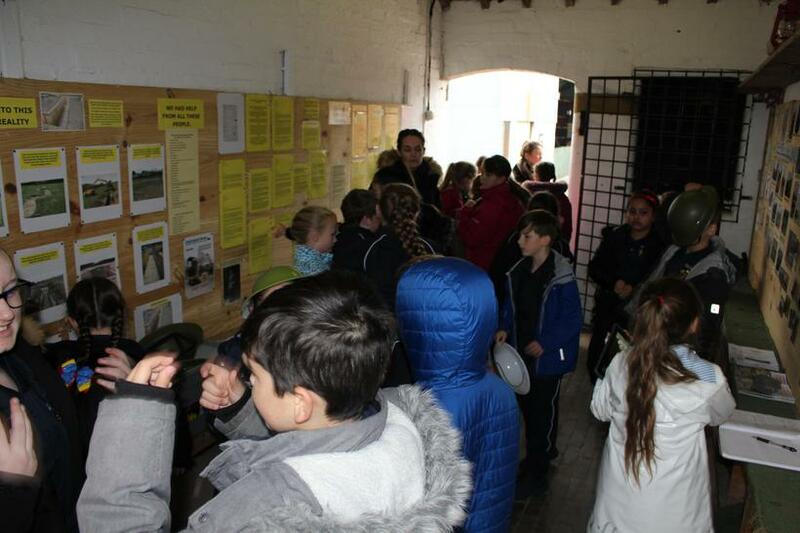 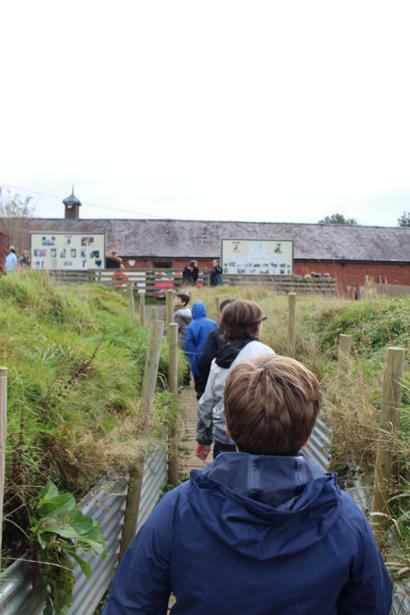 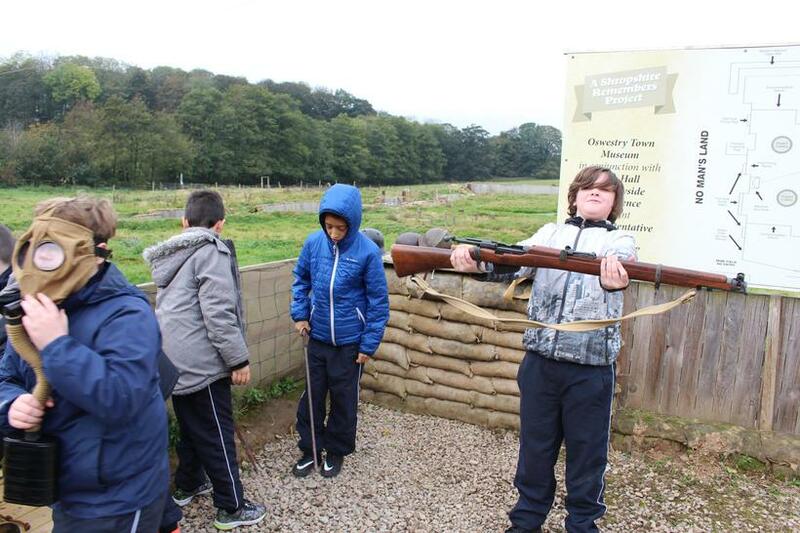 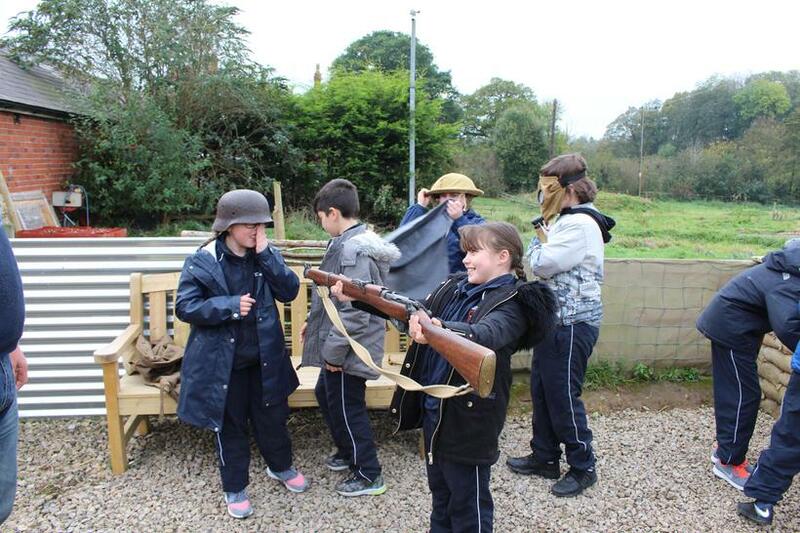 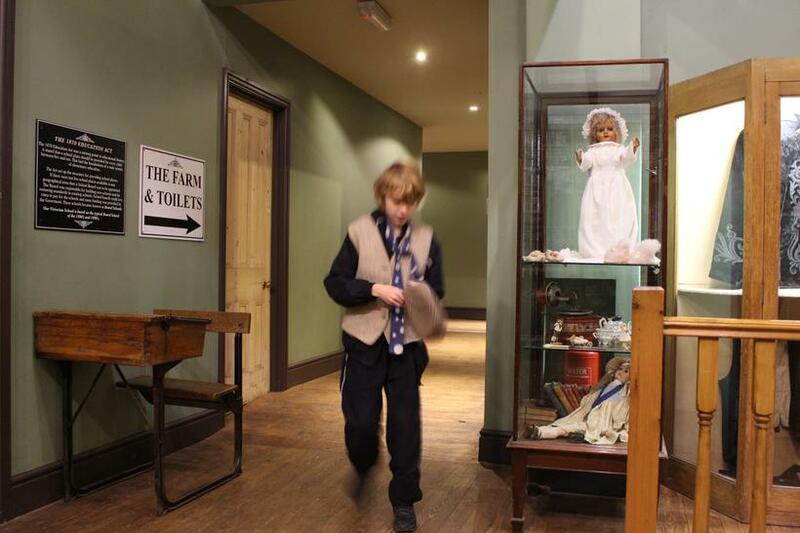 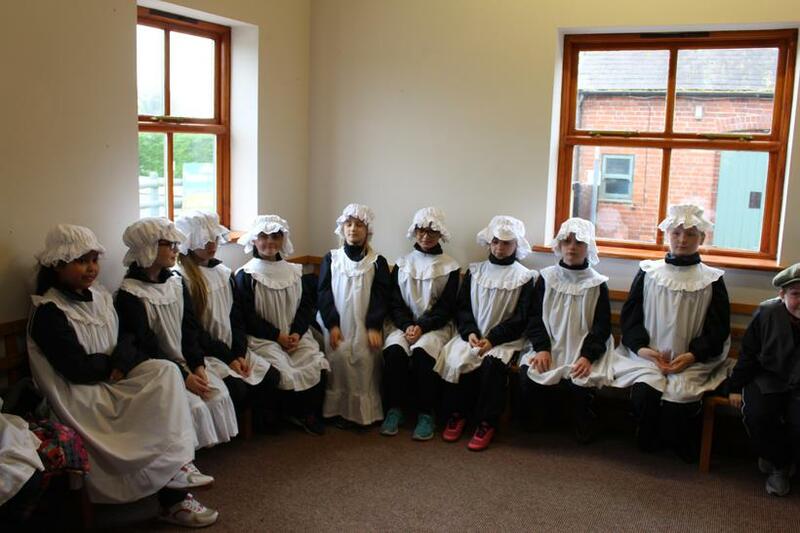 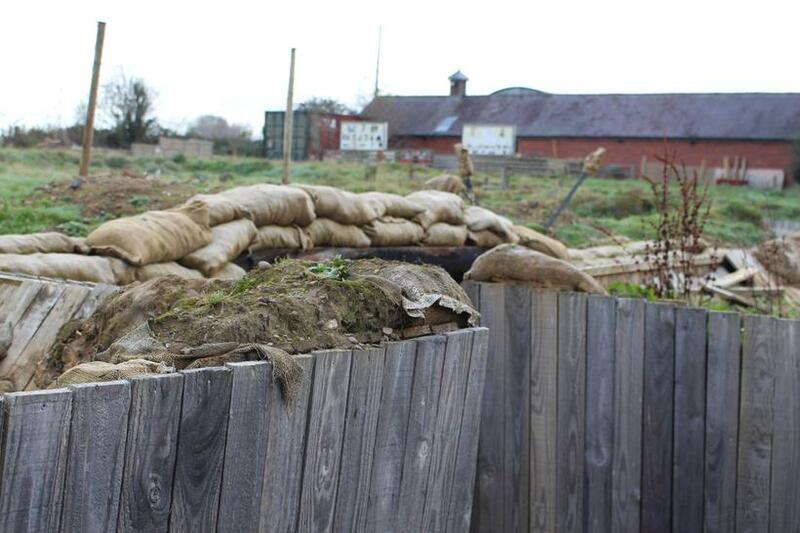 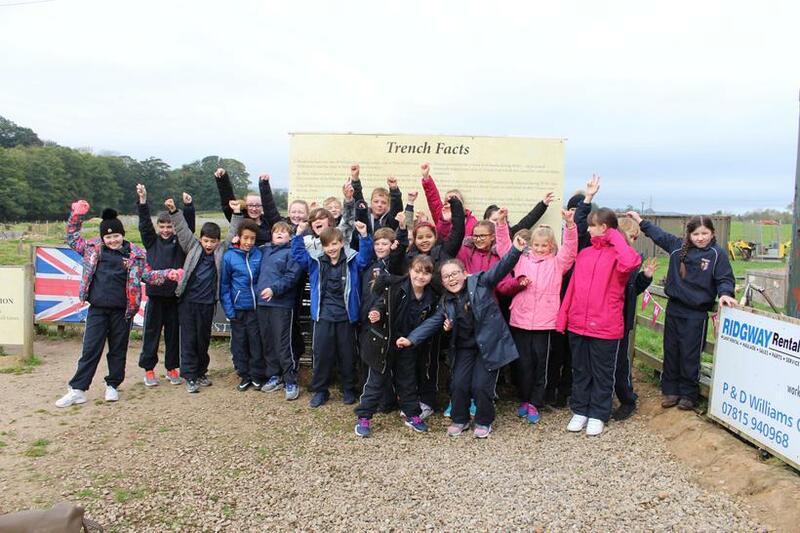 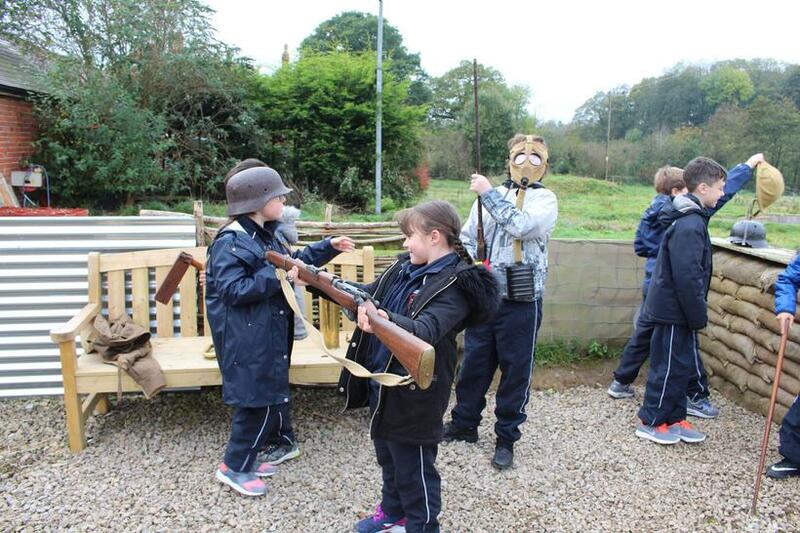 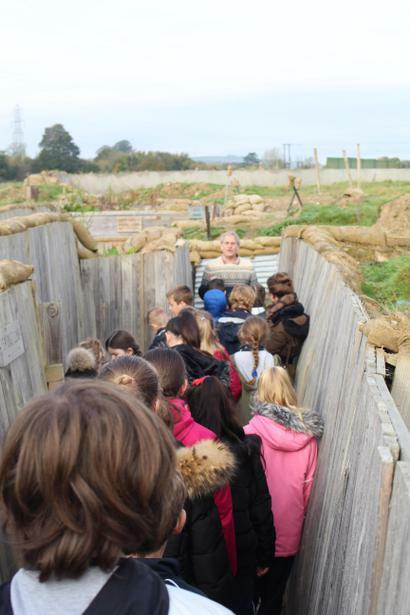 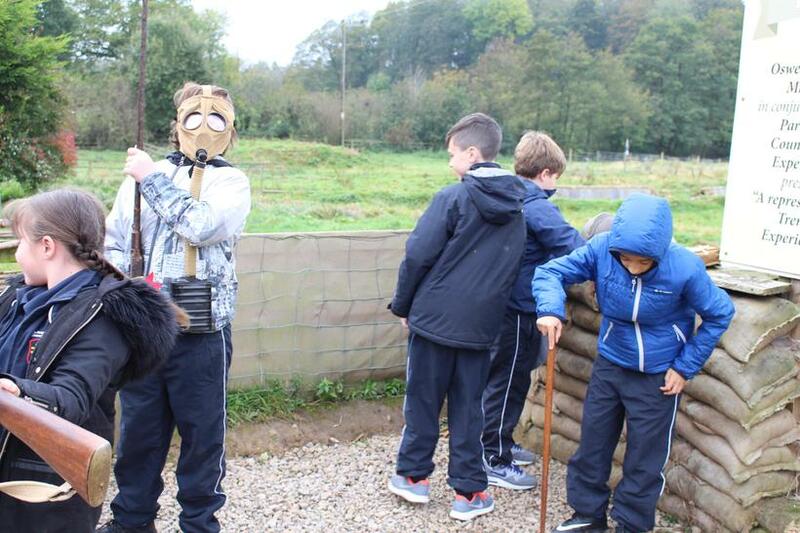 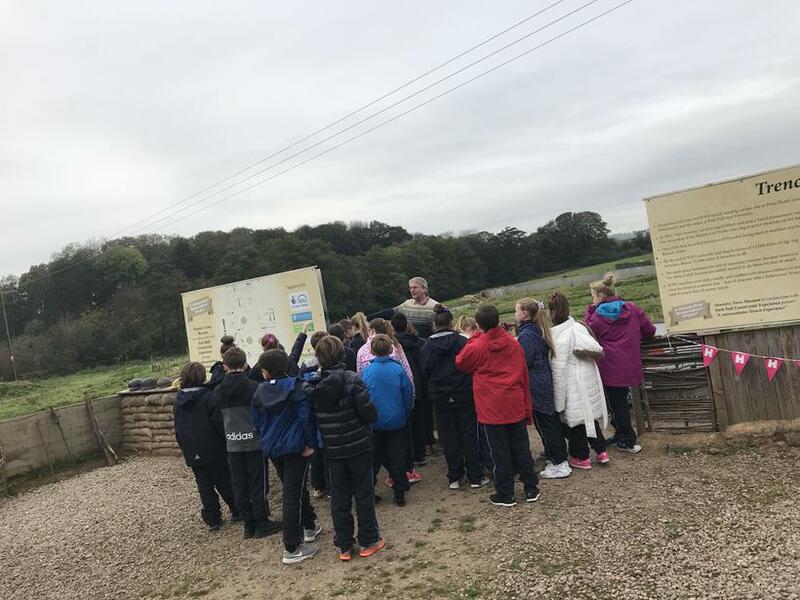 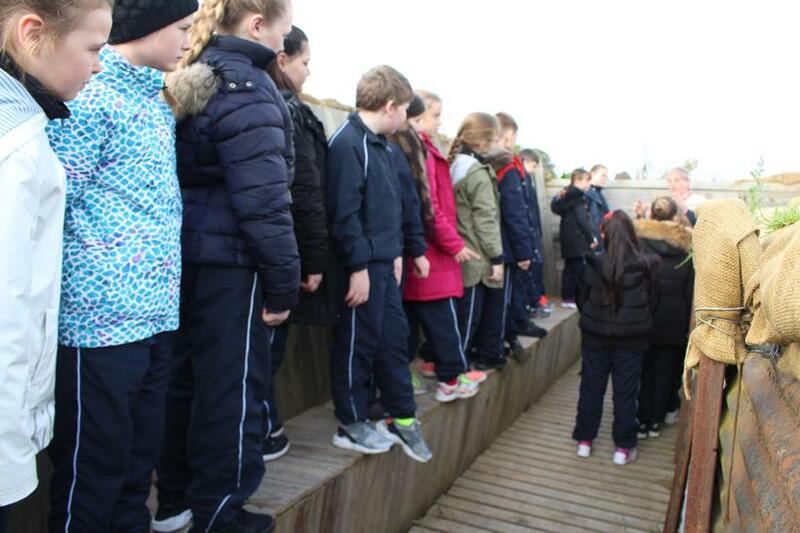 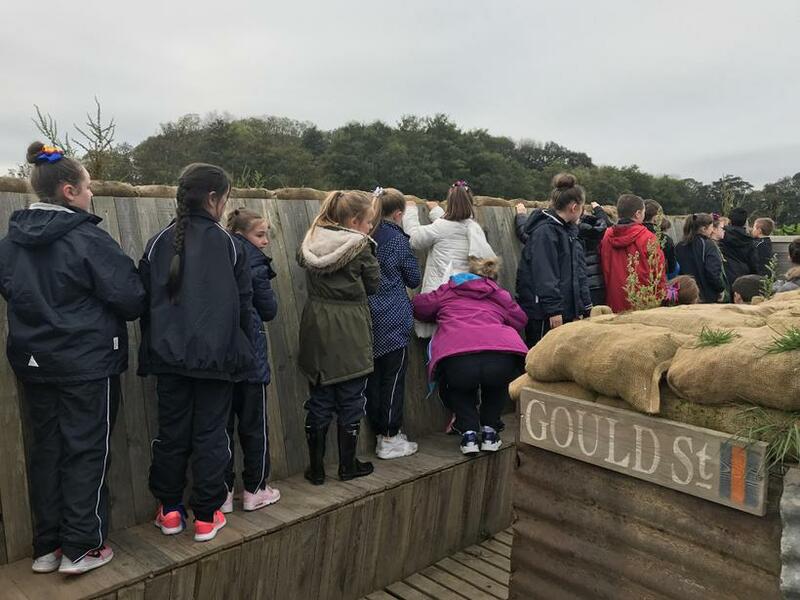 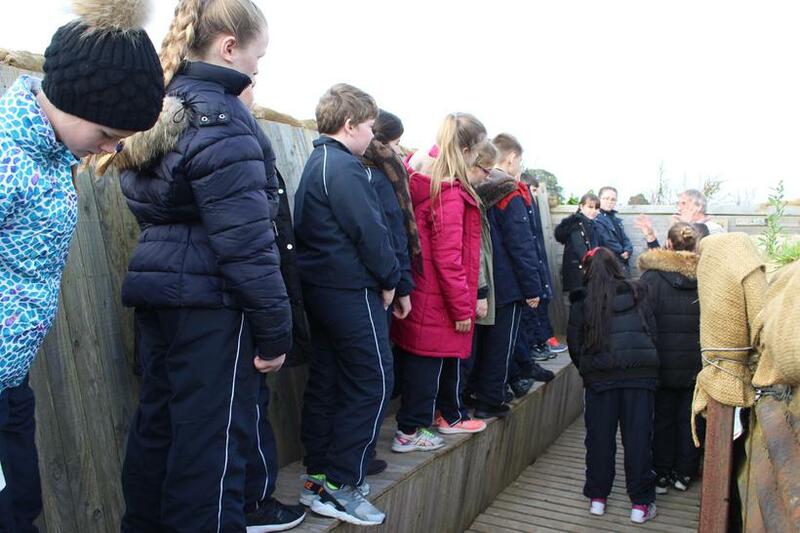 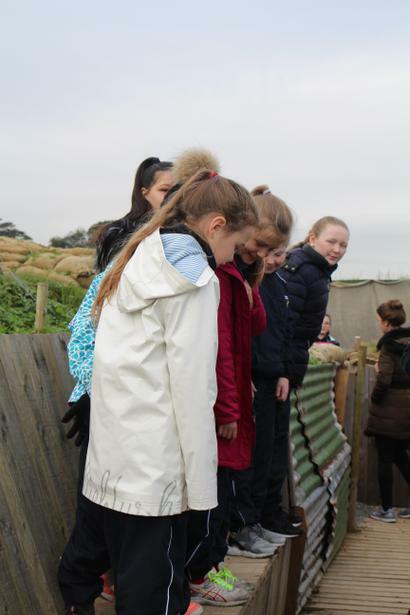 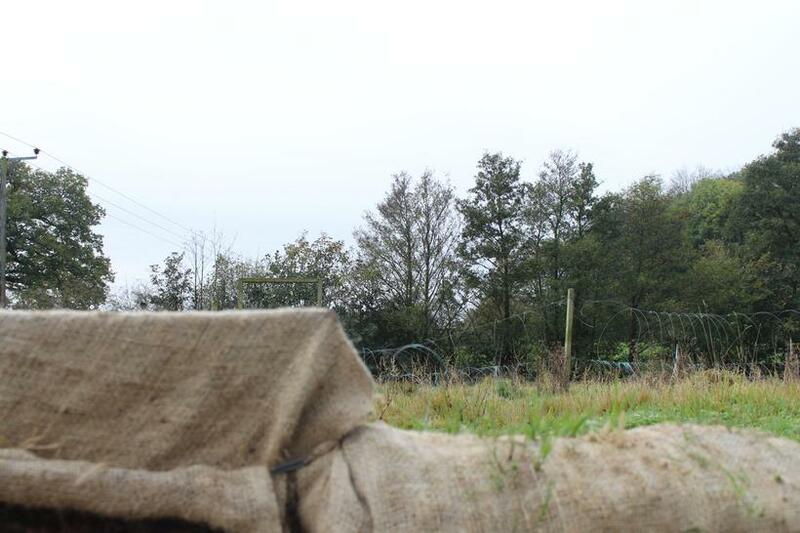 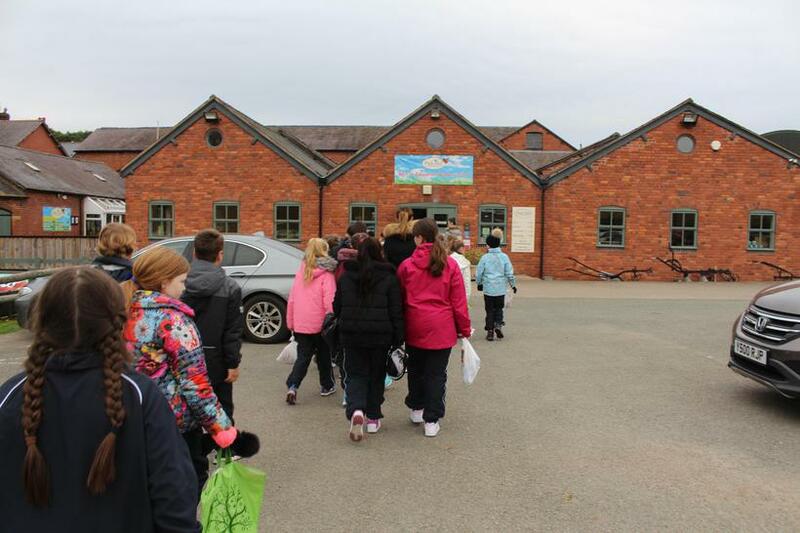 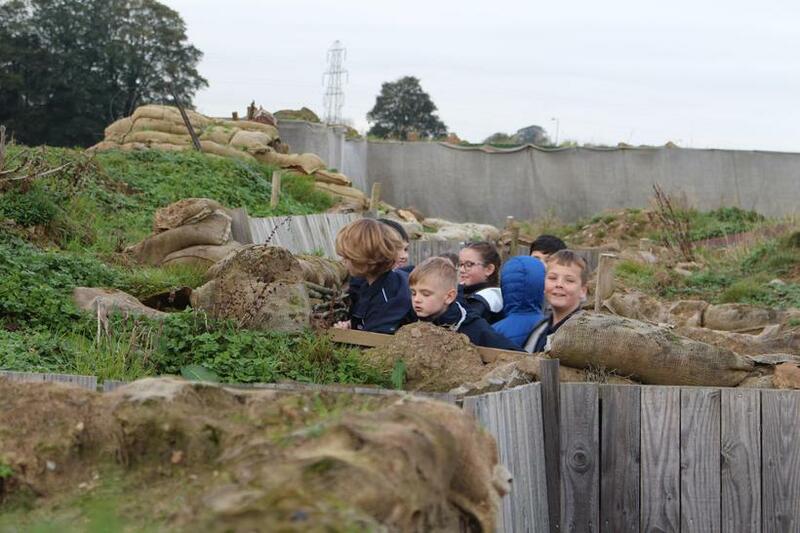 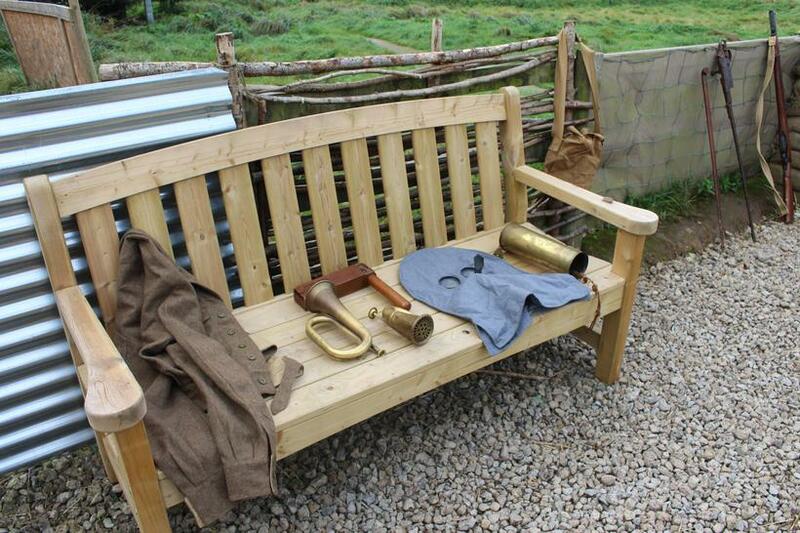 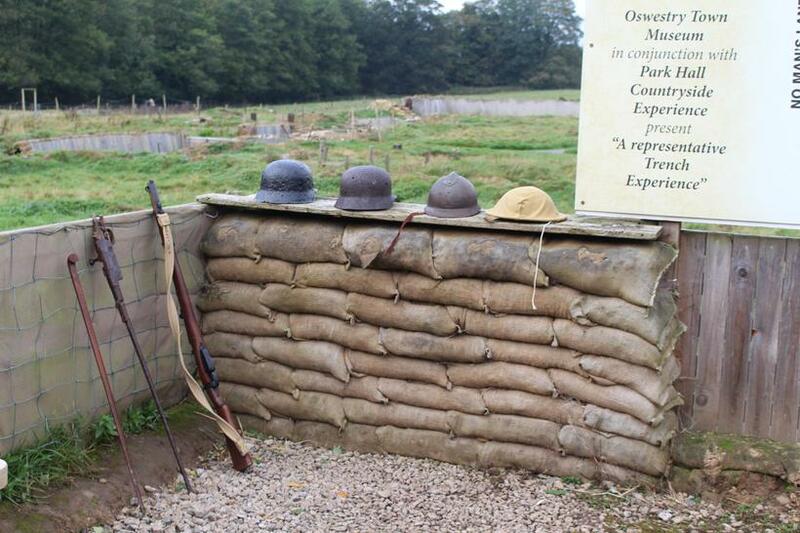 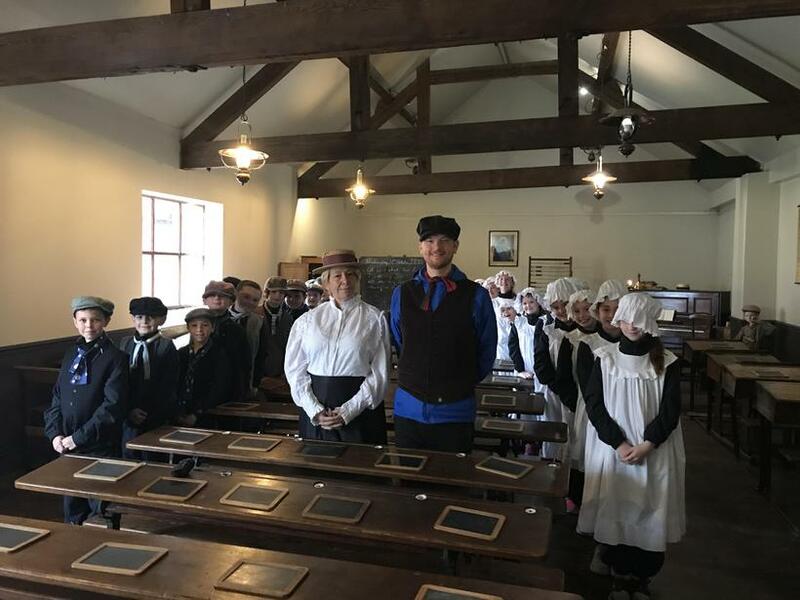 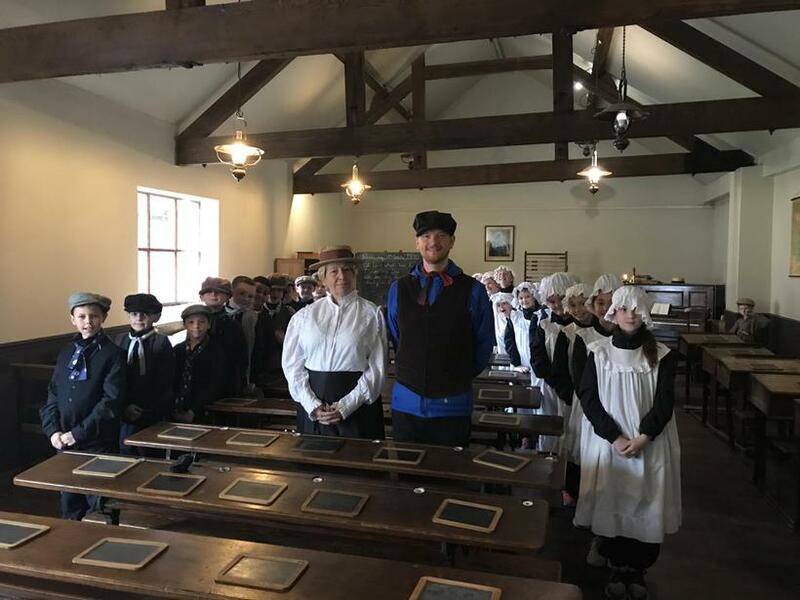 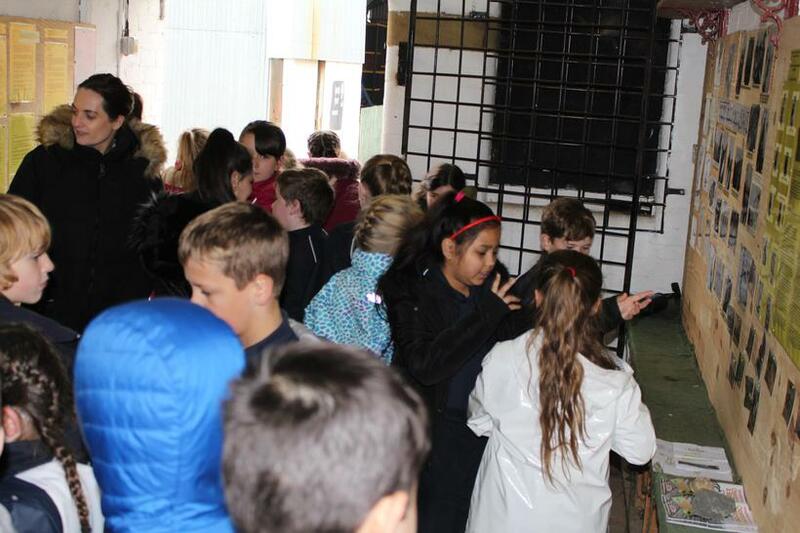 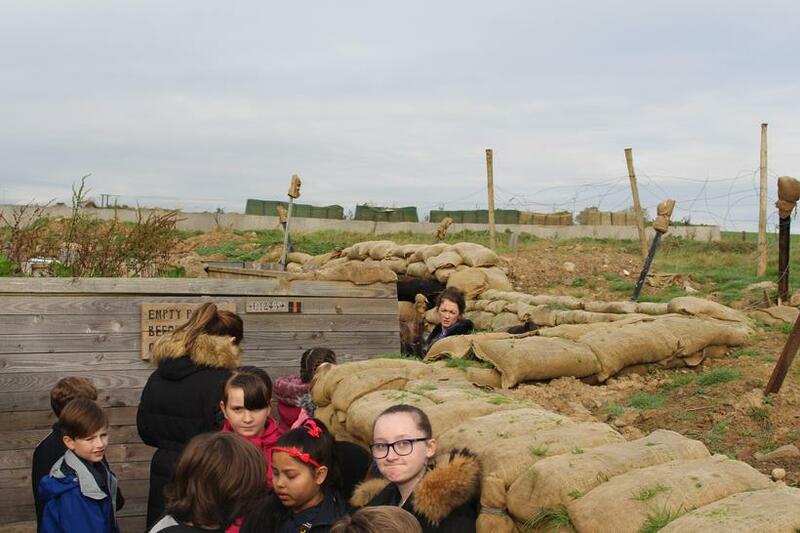 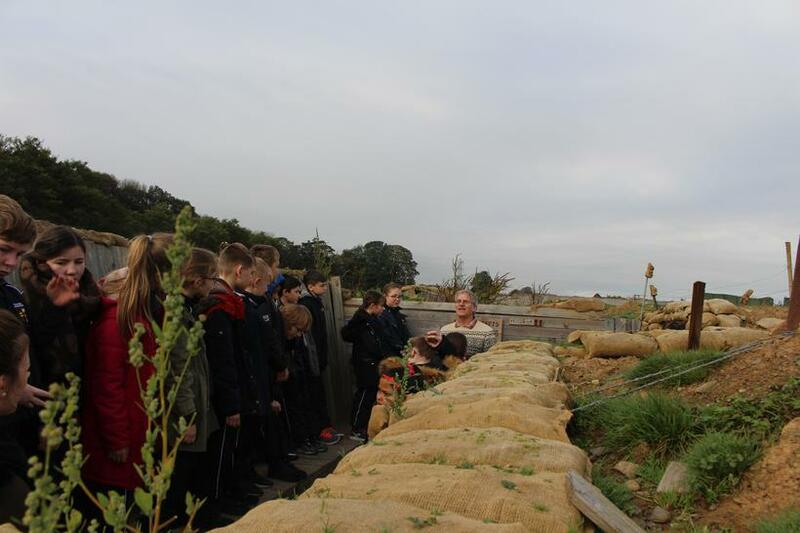 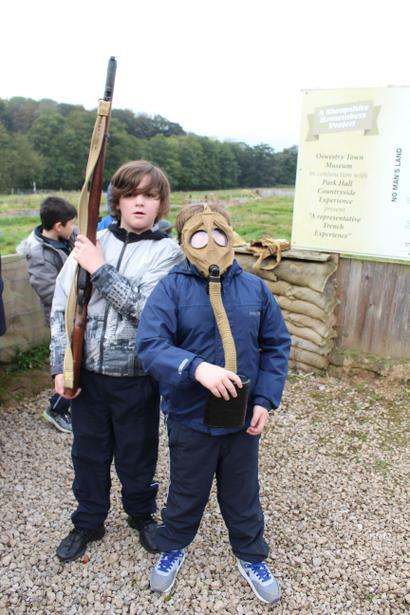 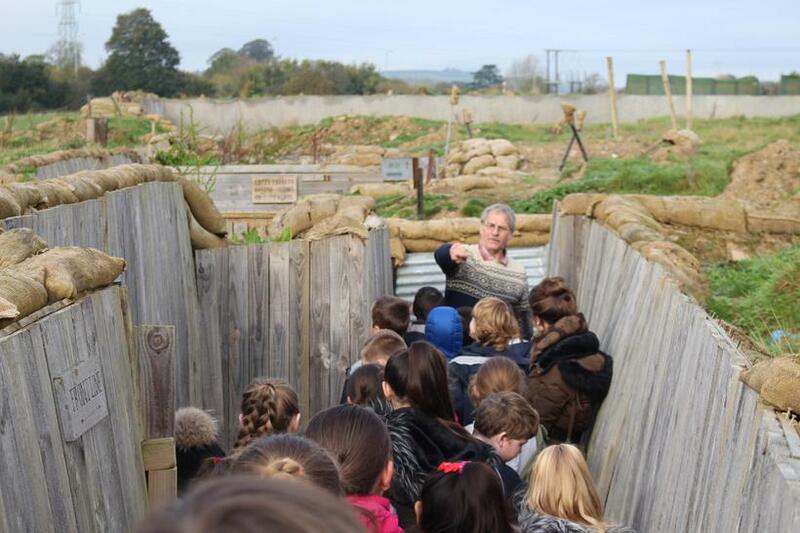 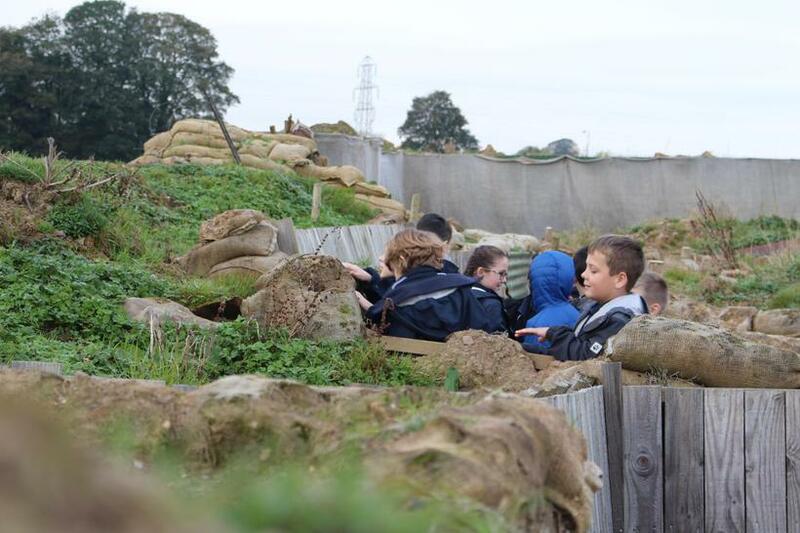 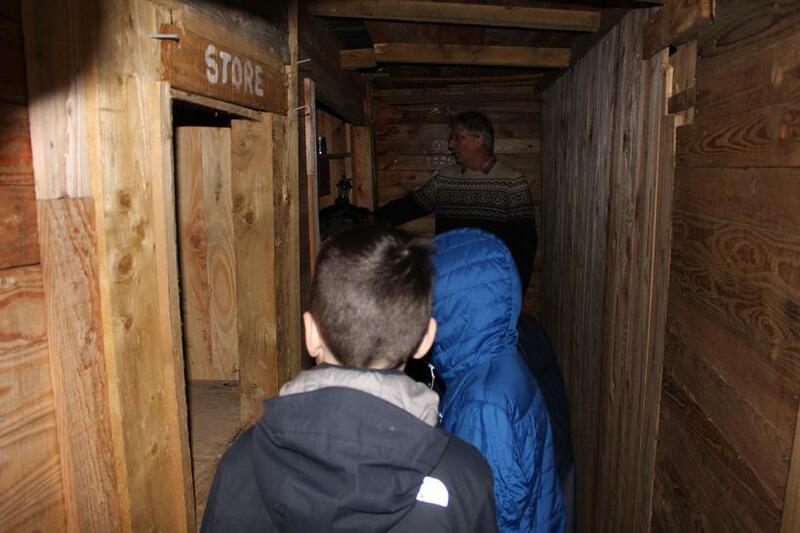 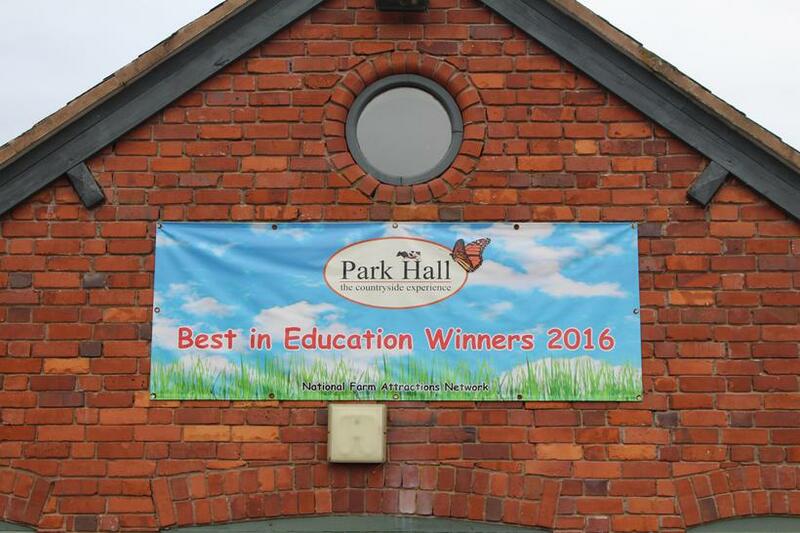 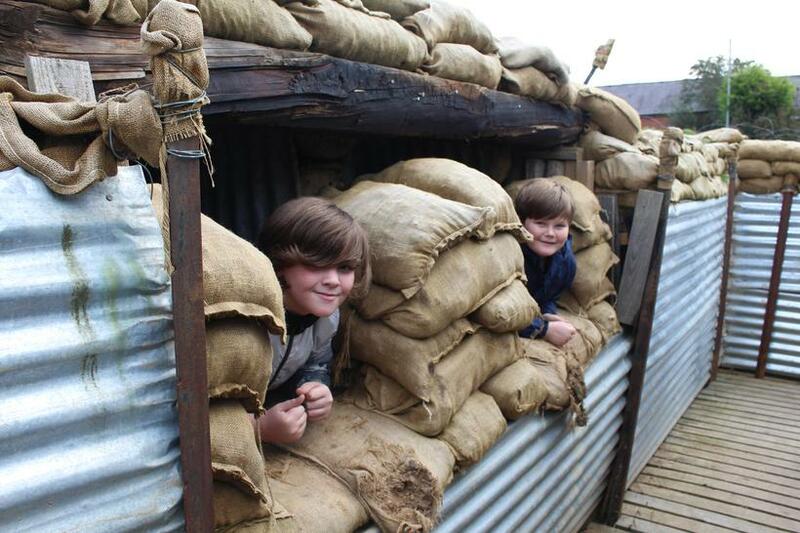 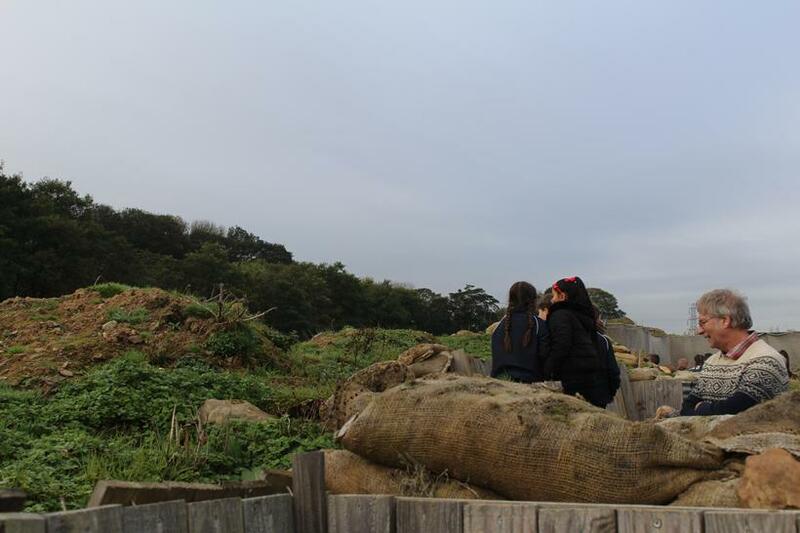 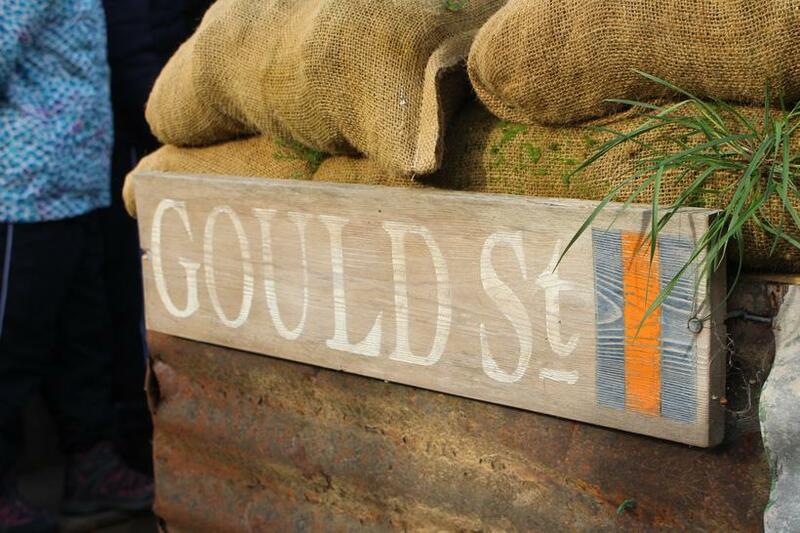 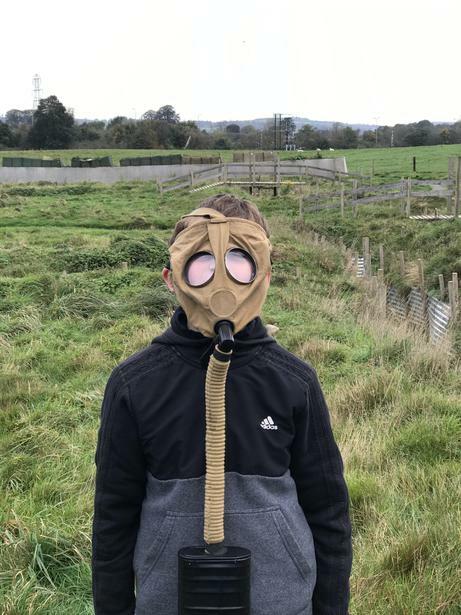 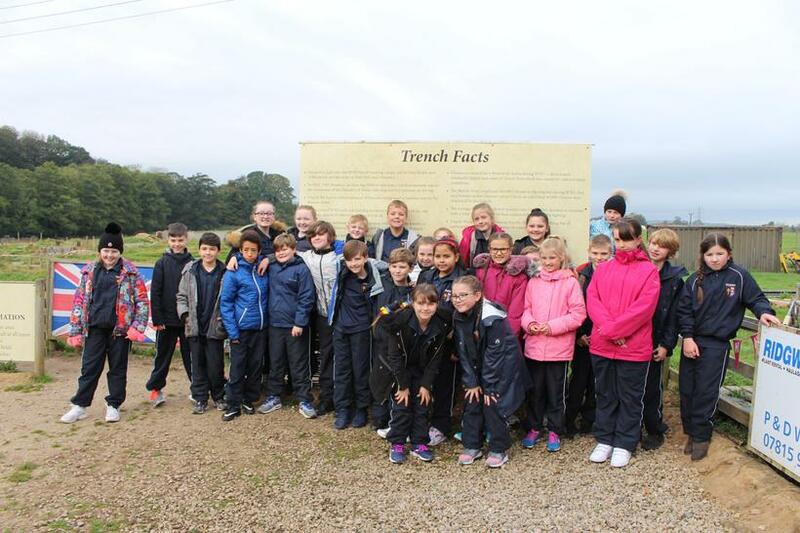 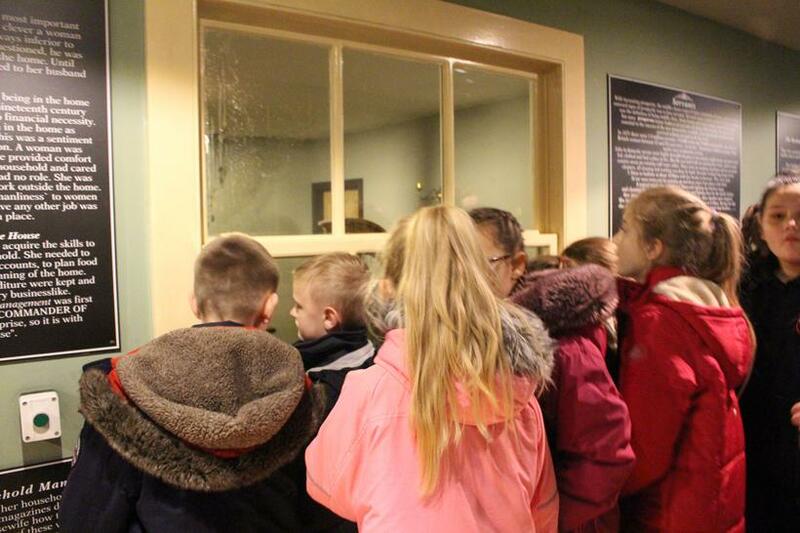 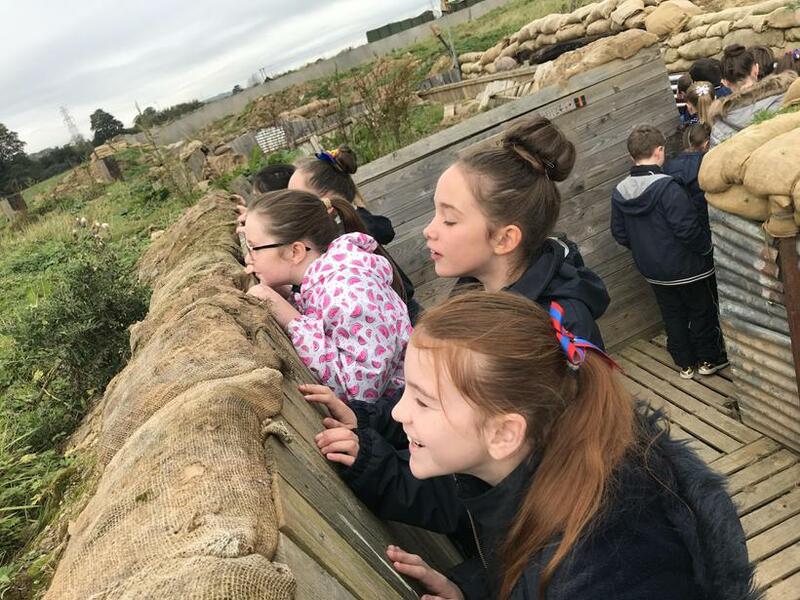 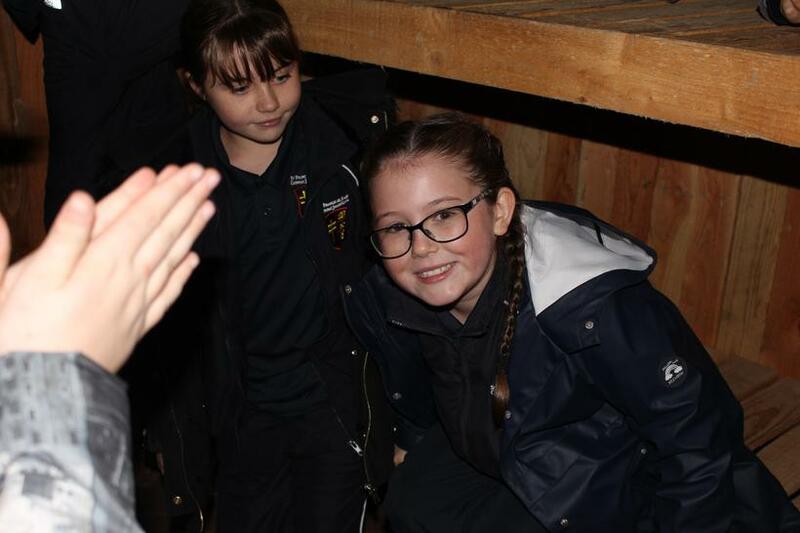 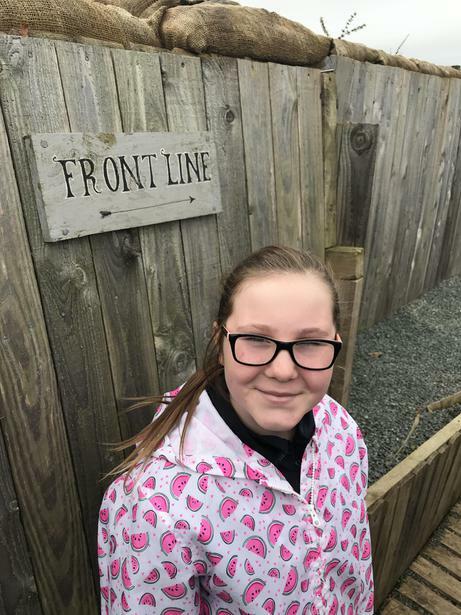 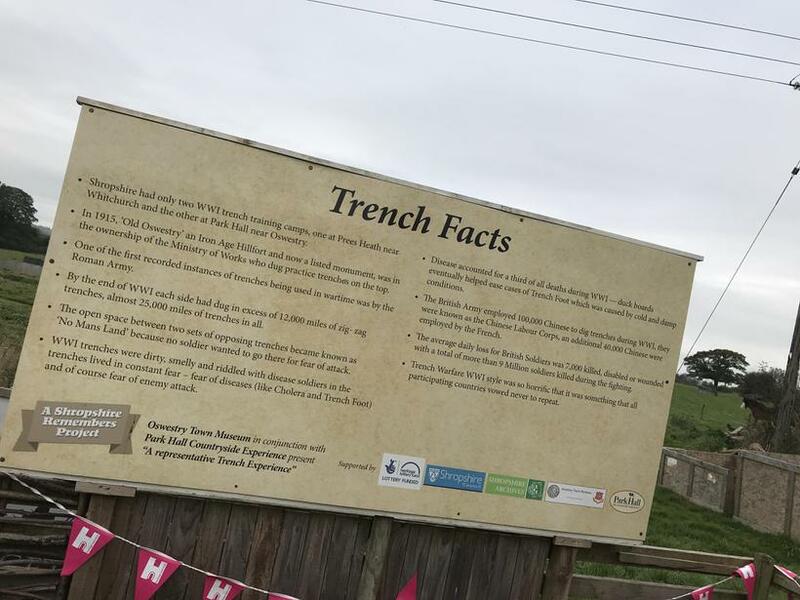 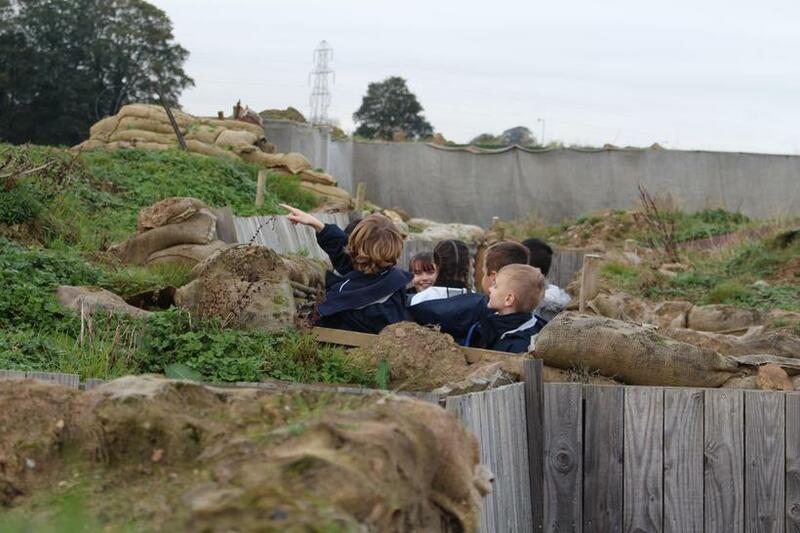 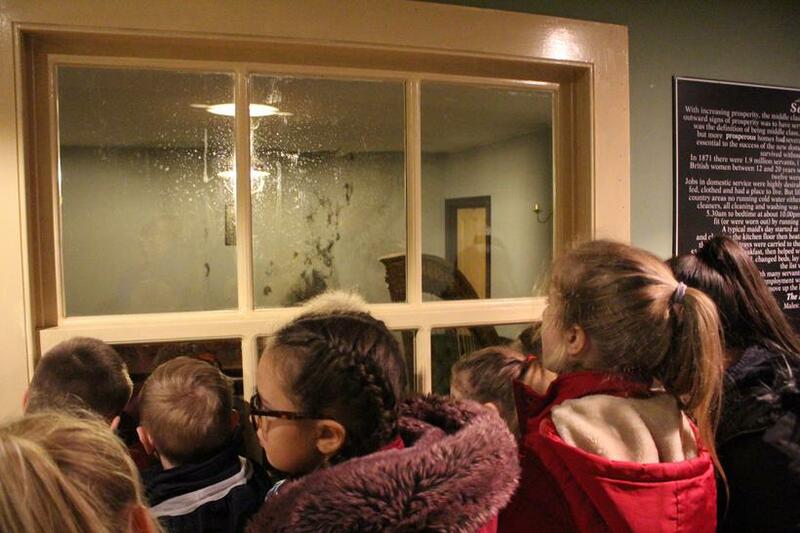 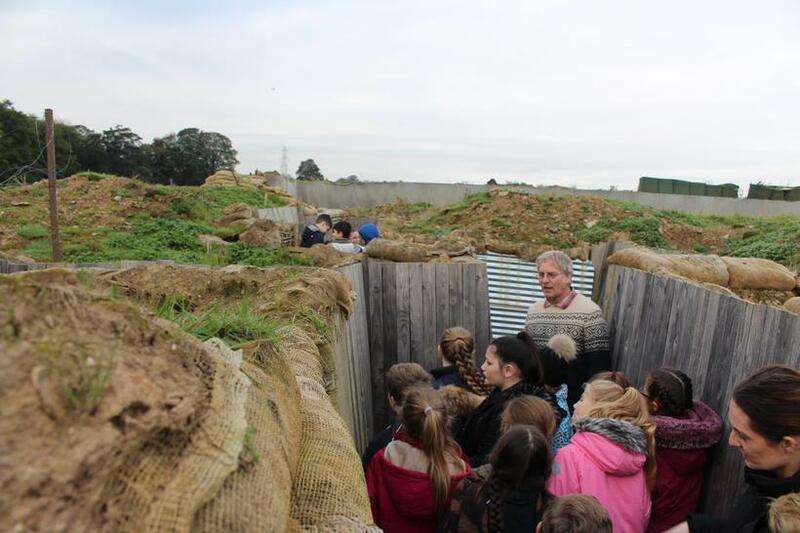 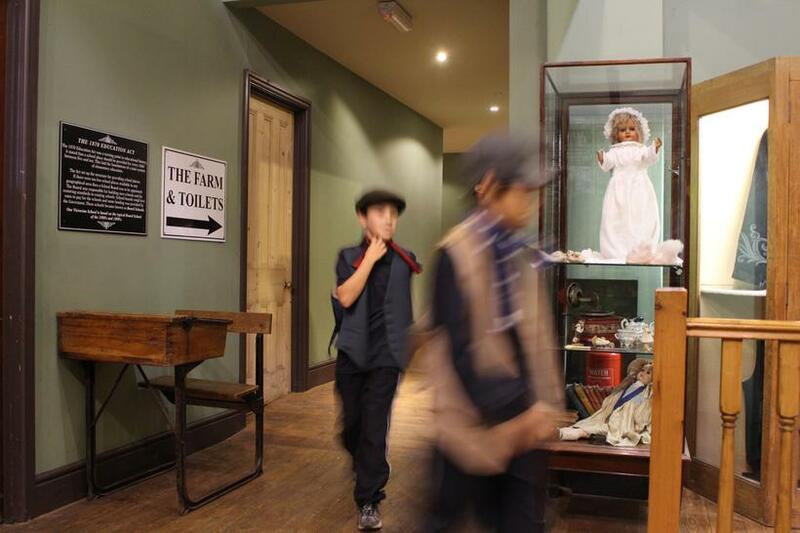 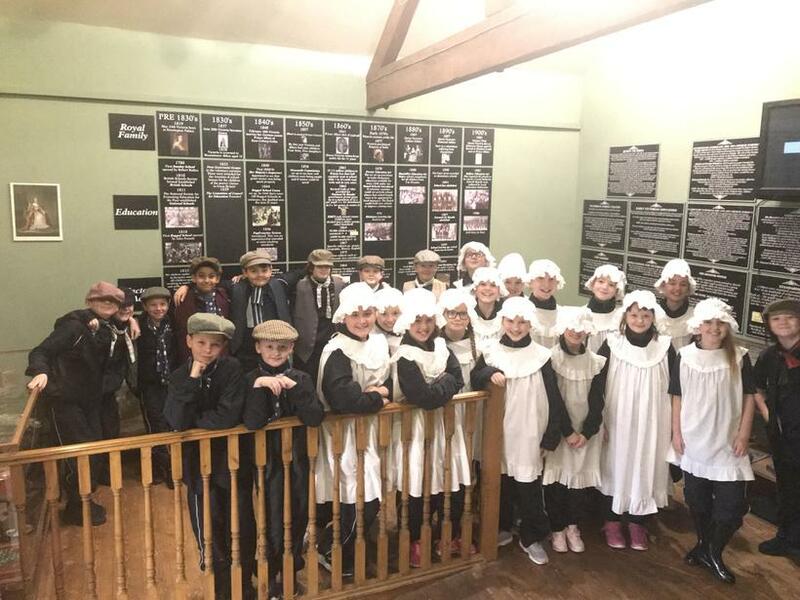 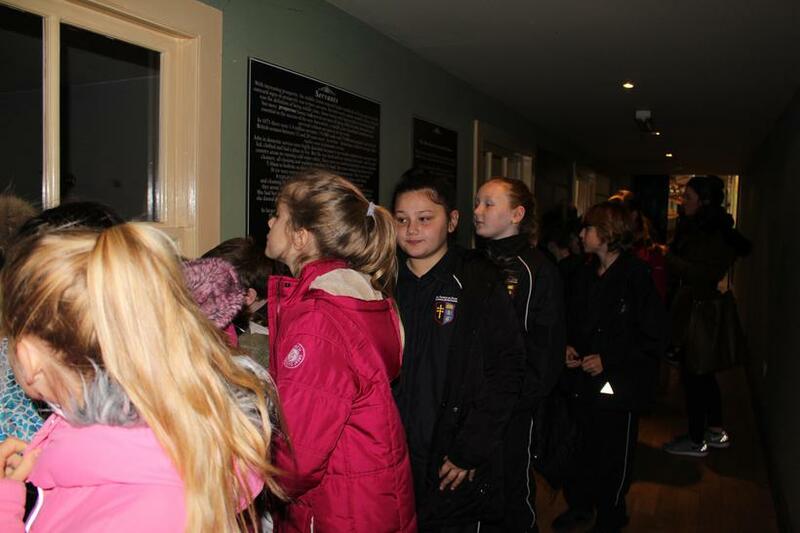 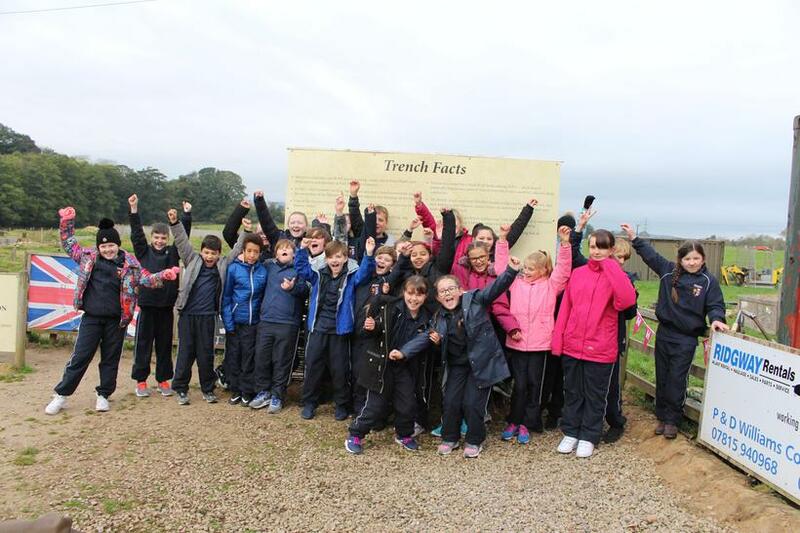 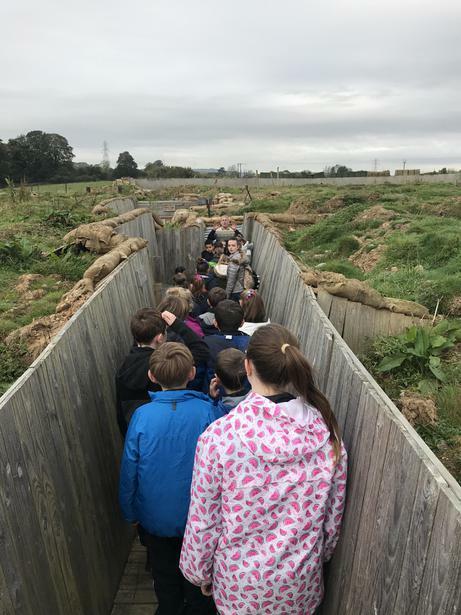 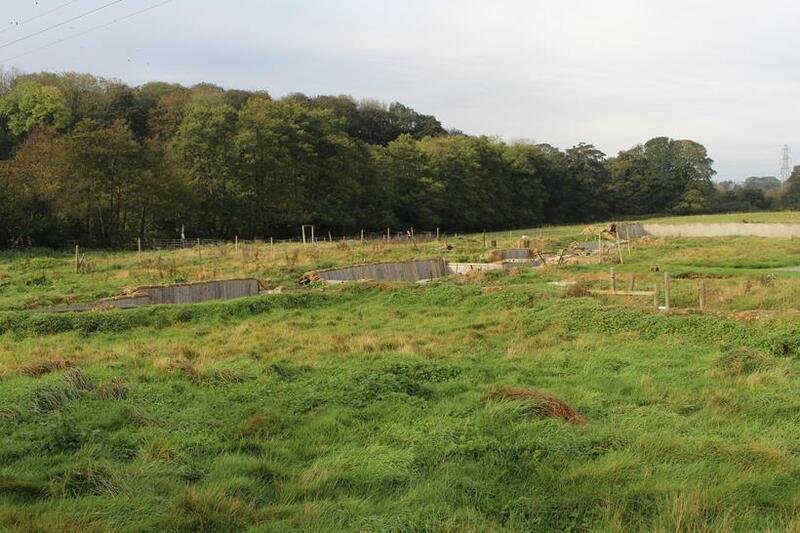 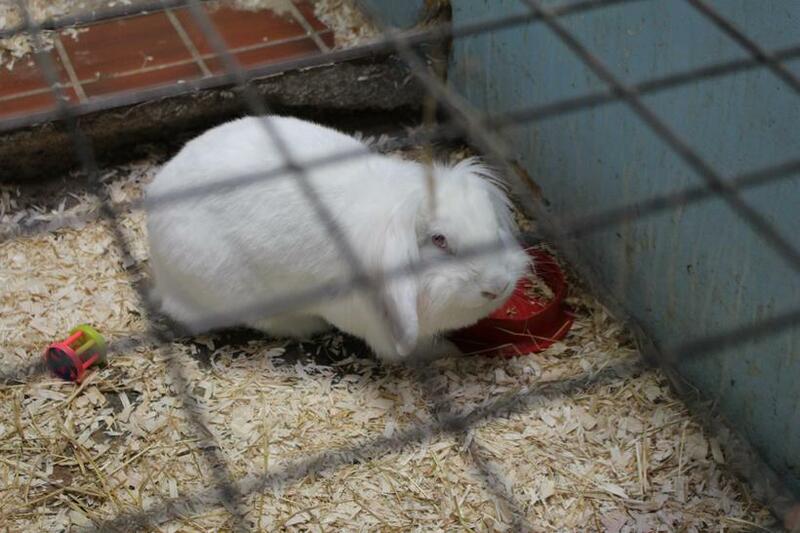 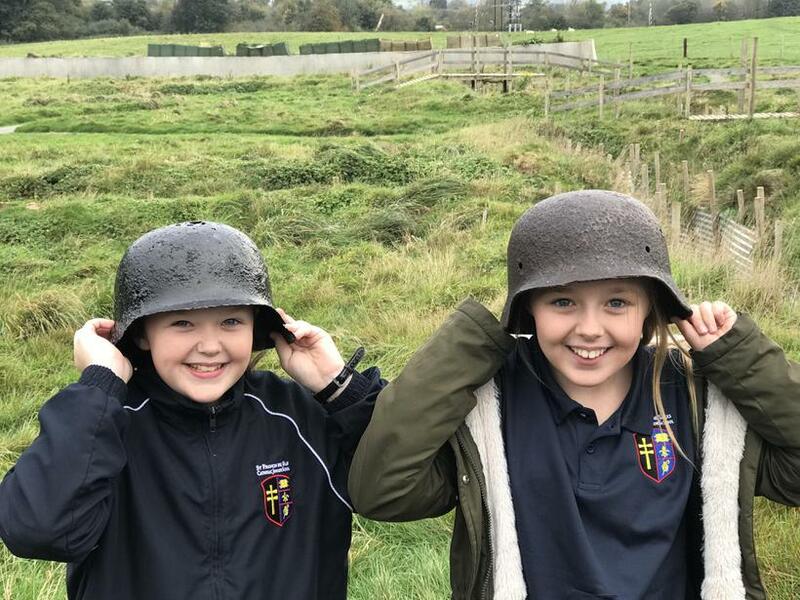 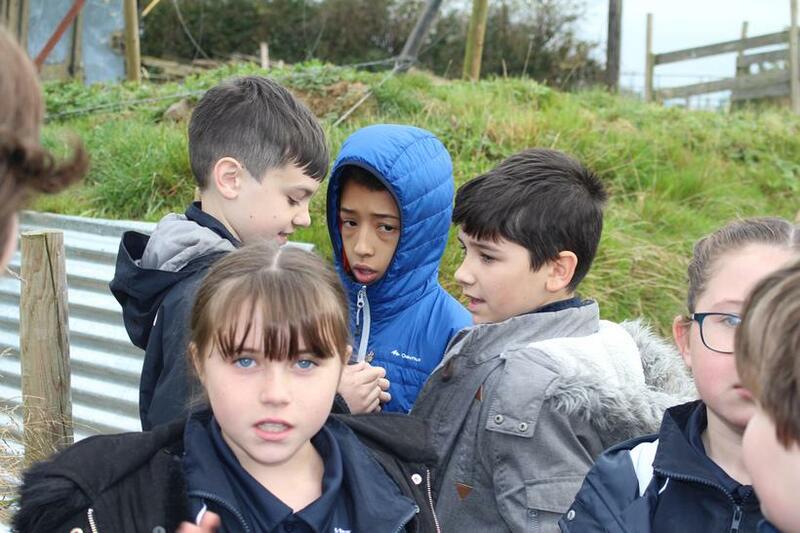 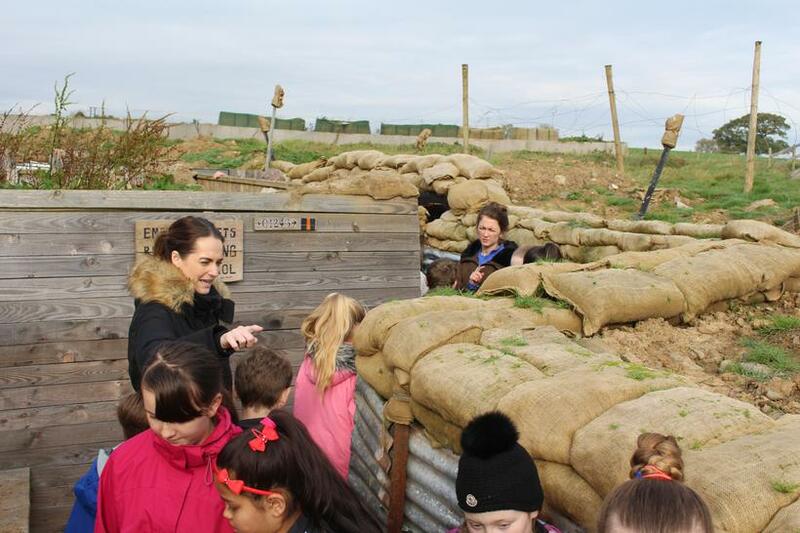 Our journey took us to Parkhall Farm in Oswestry, where we got to experience two amazing historical experiences. 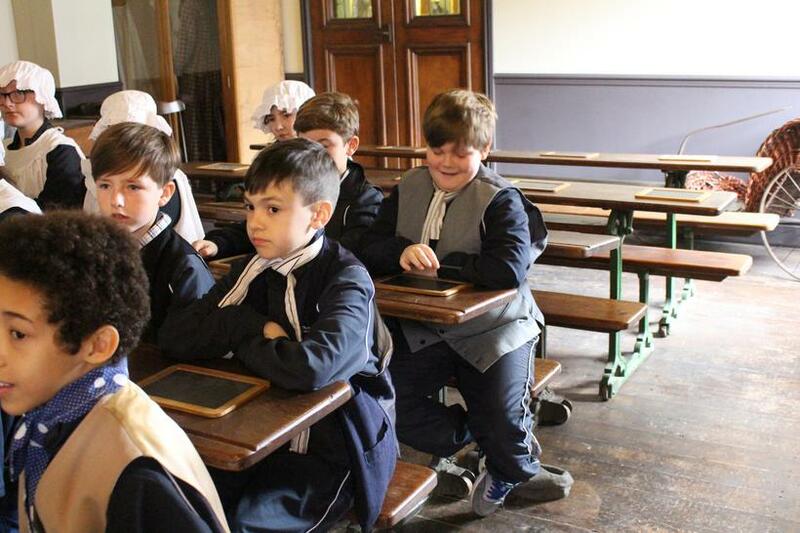 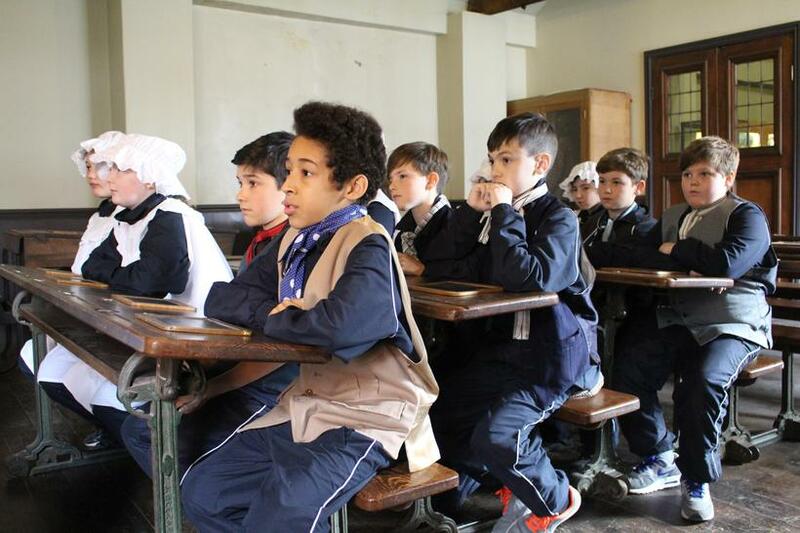 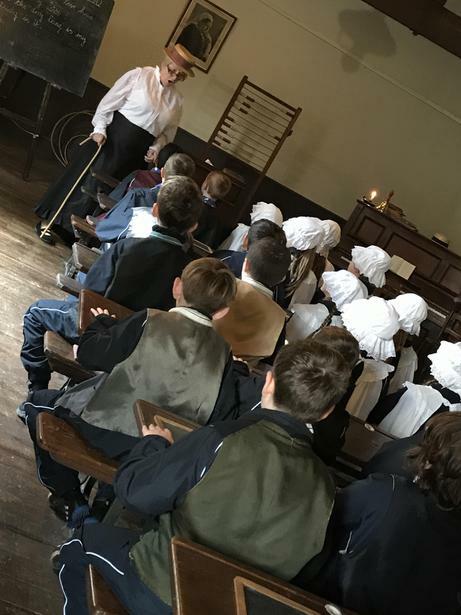 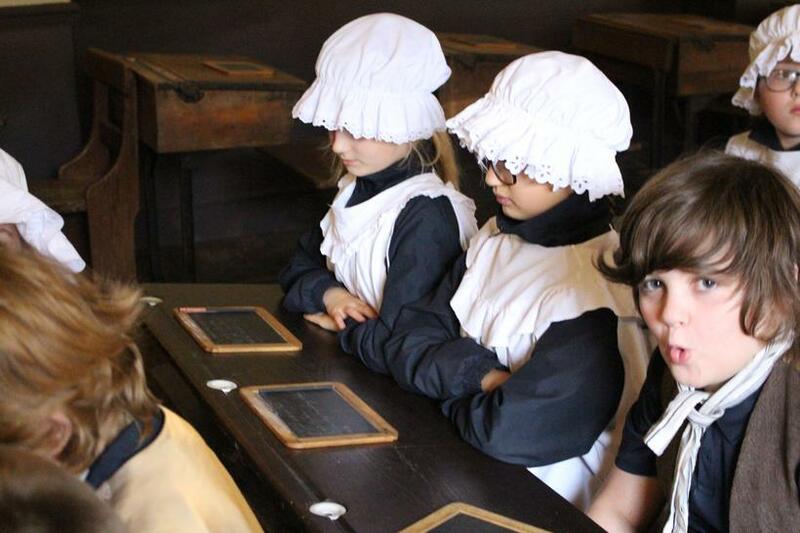 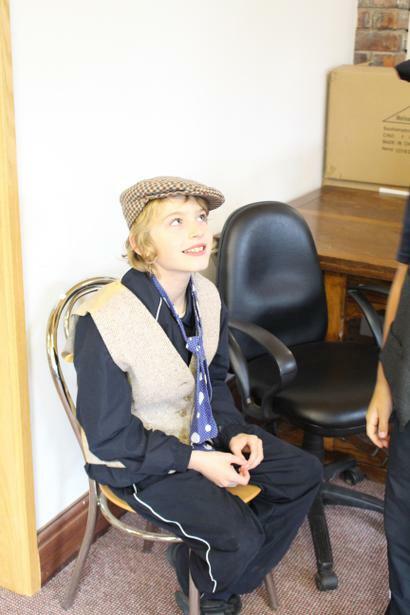 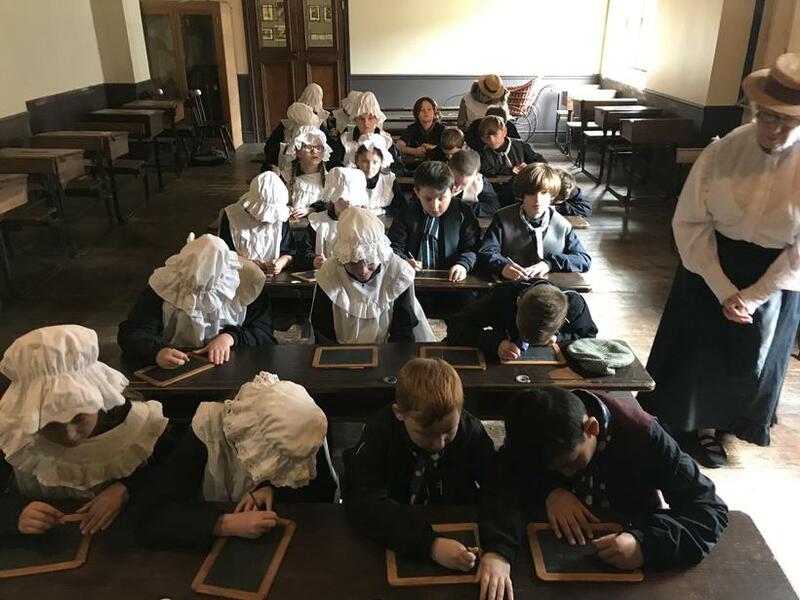 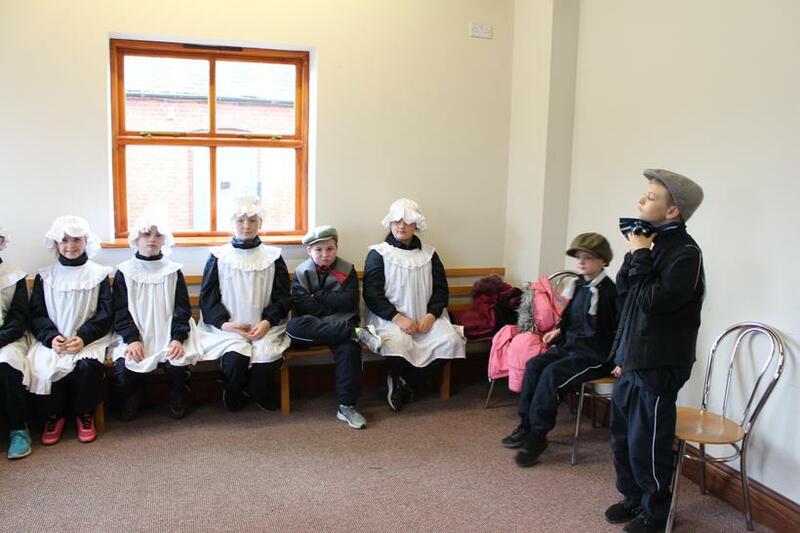 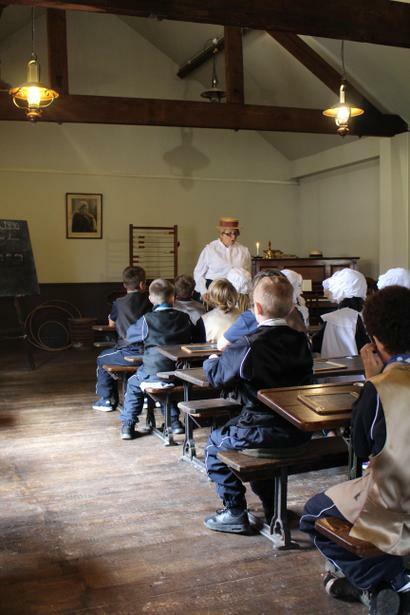 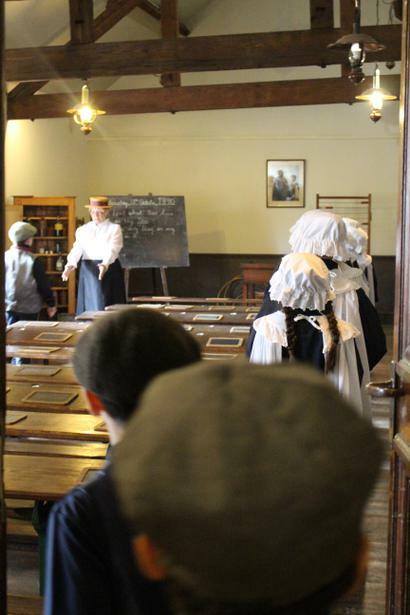 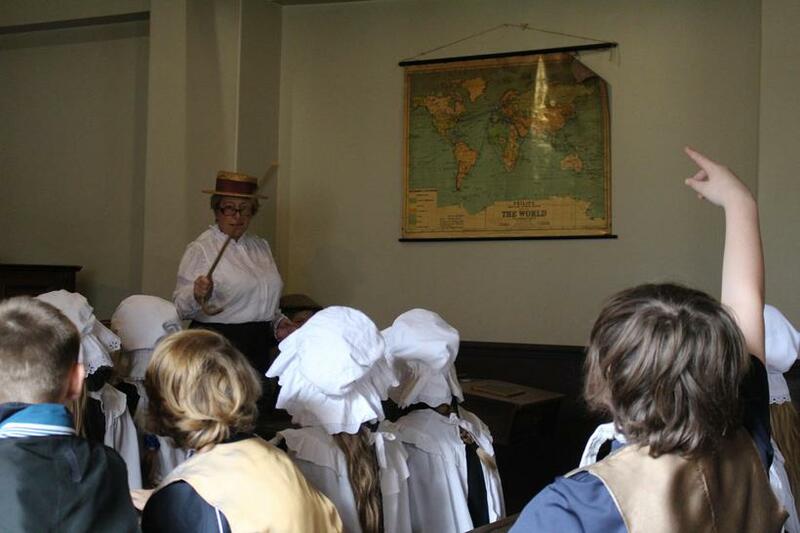 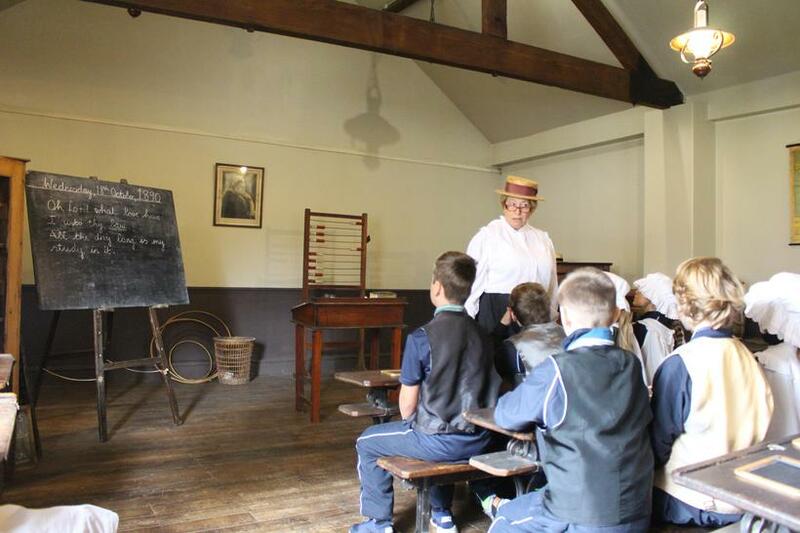 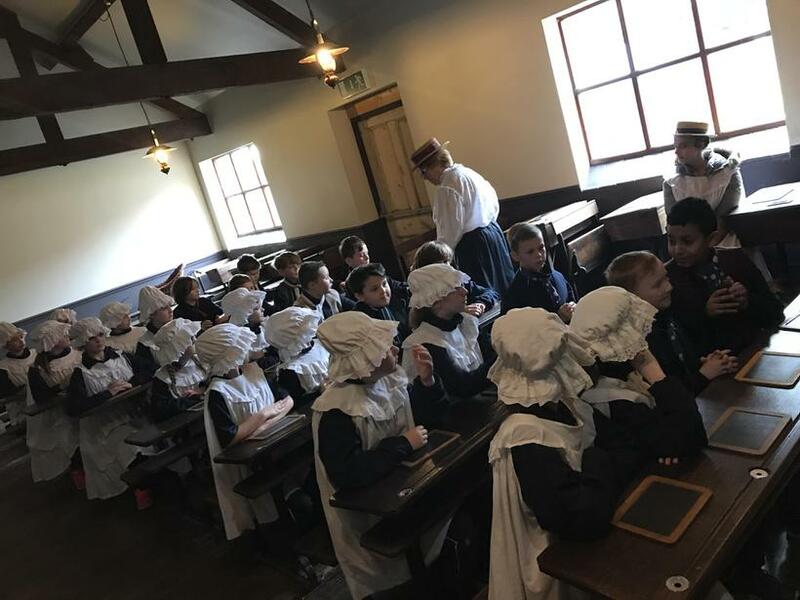 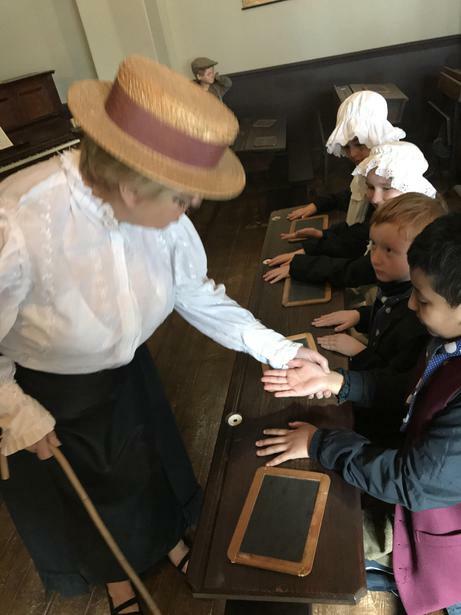 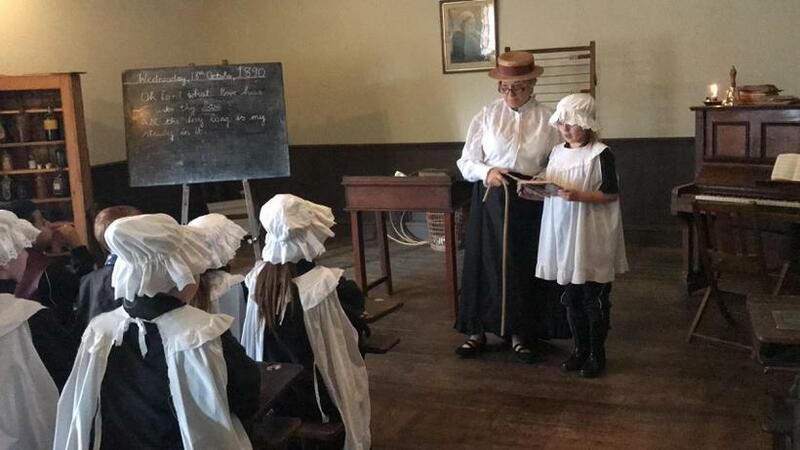 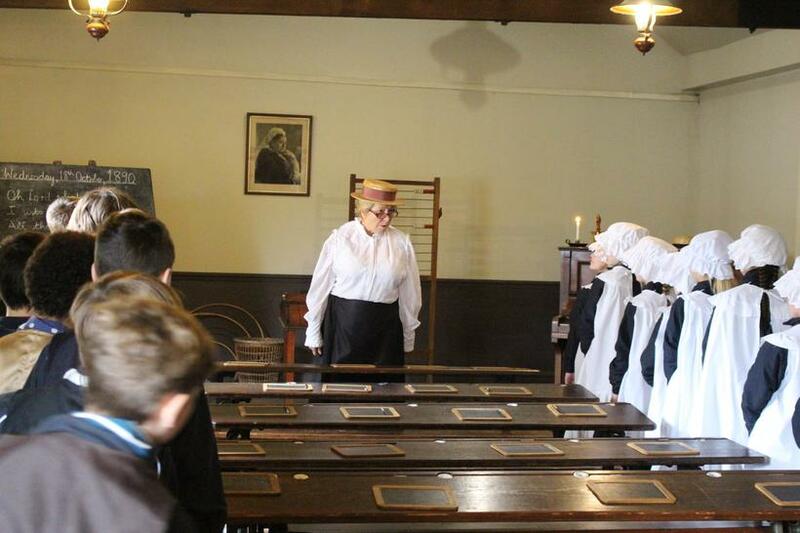 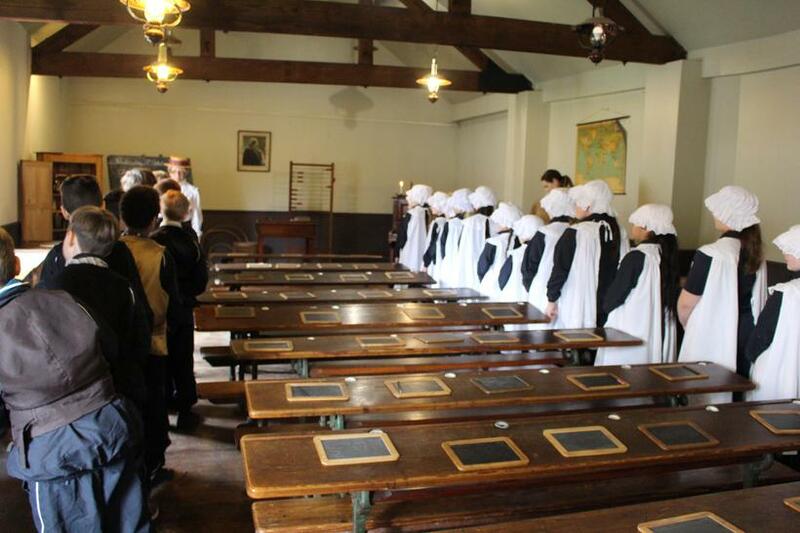 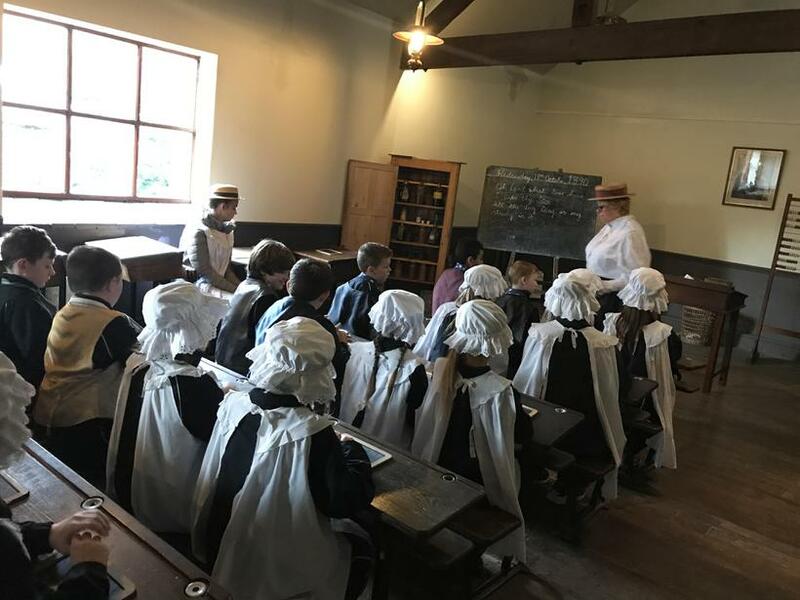 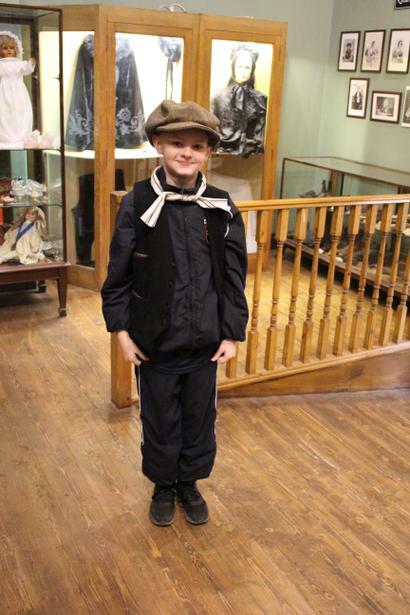 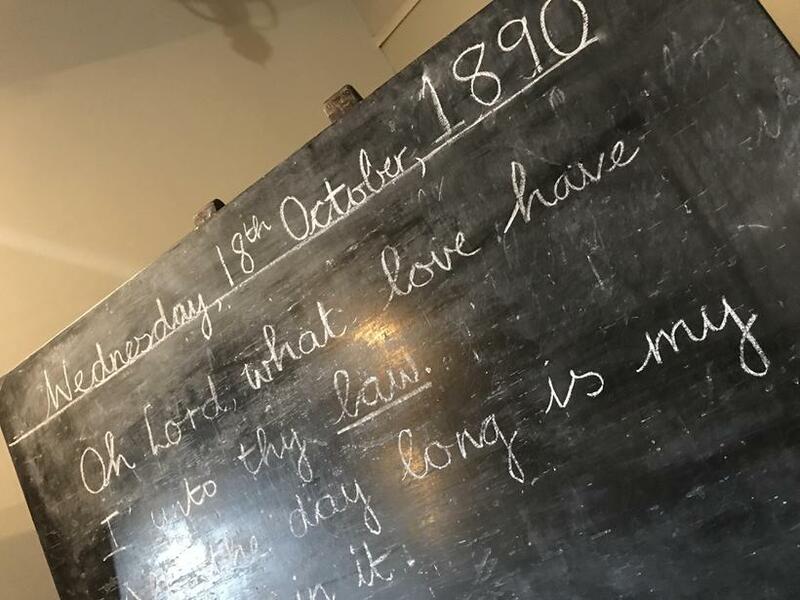 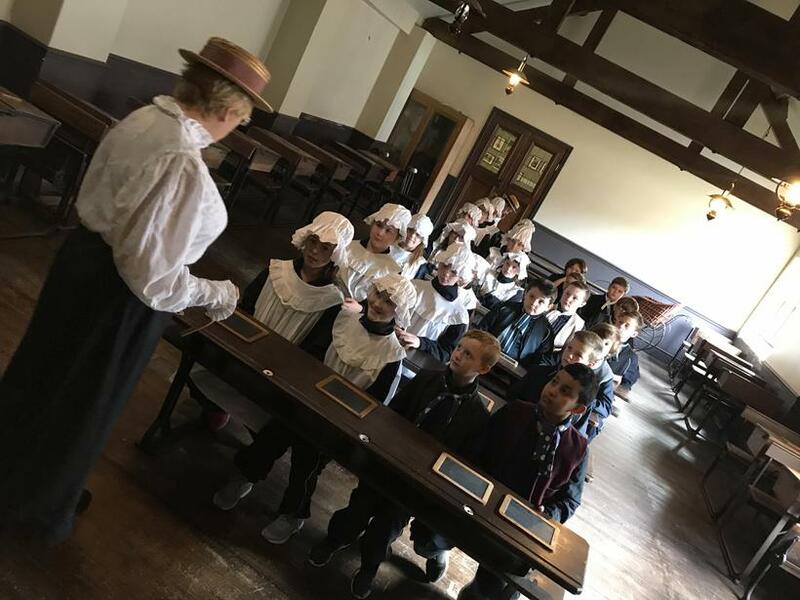 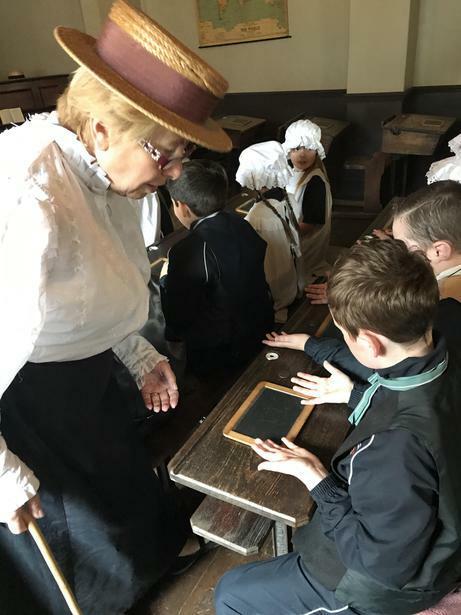 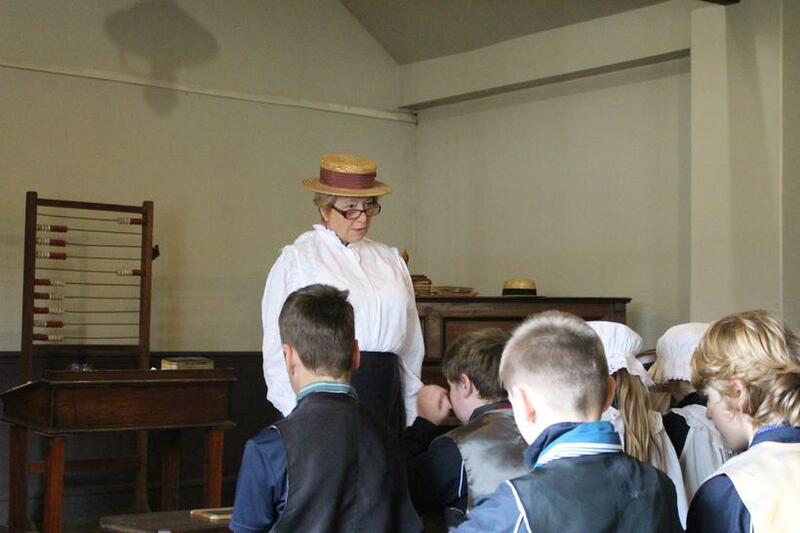 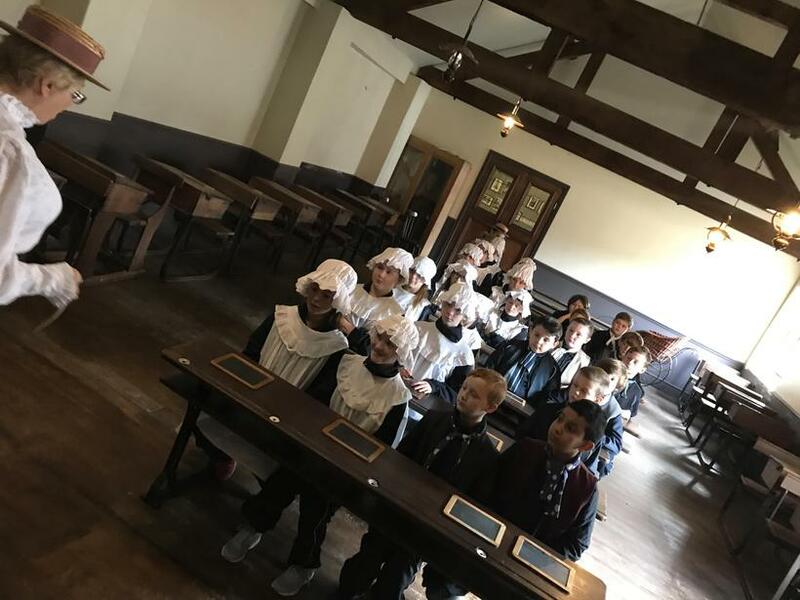 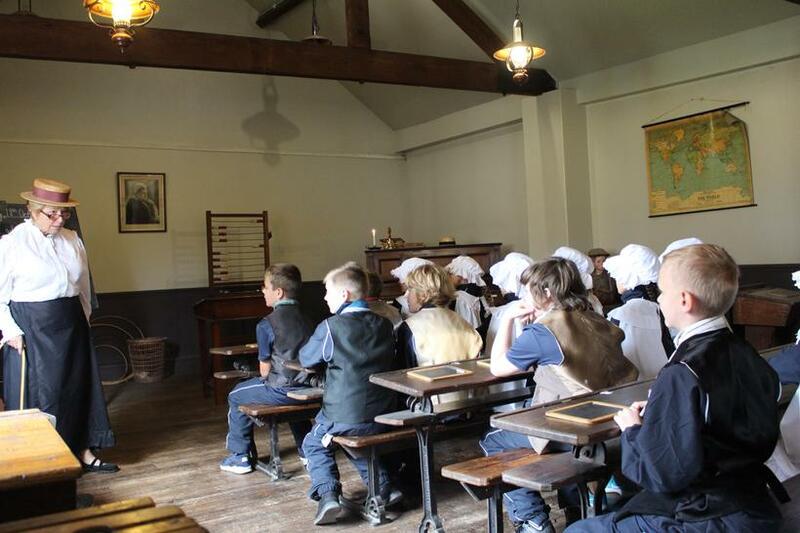 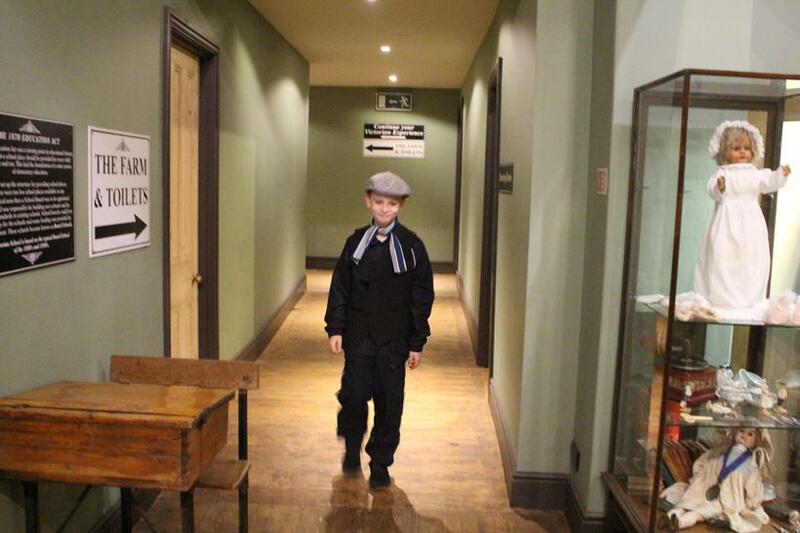 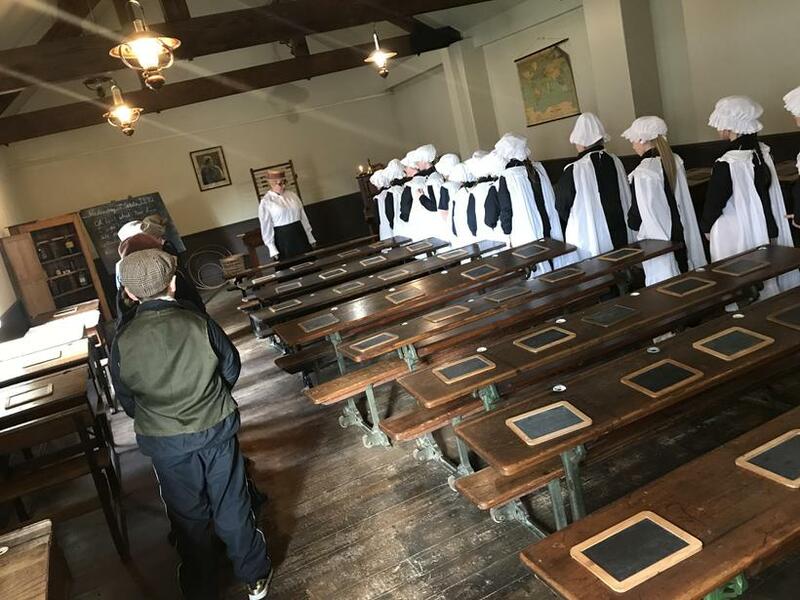 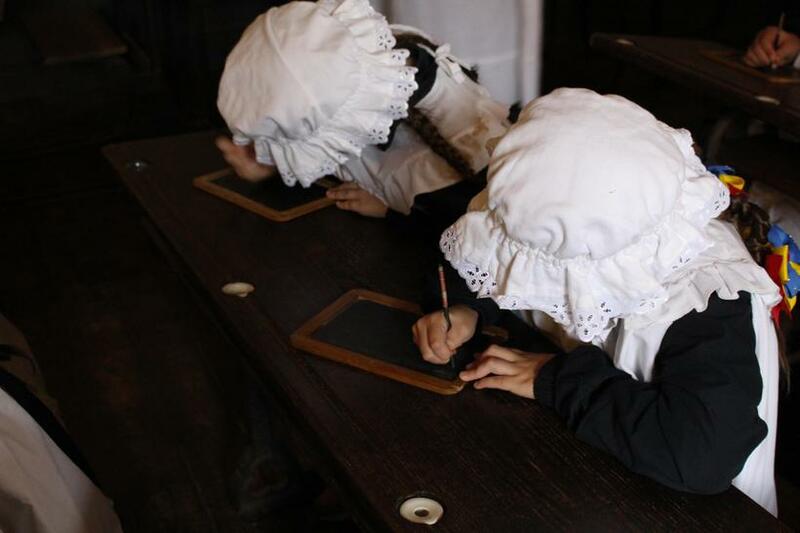 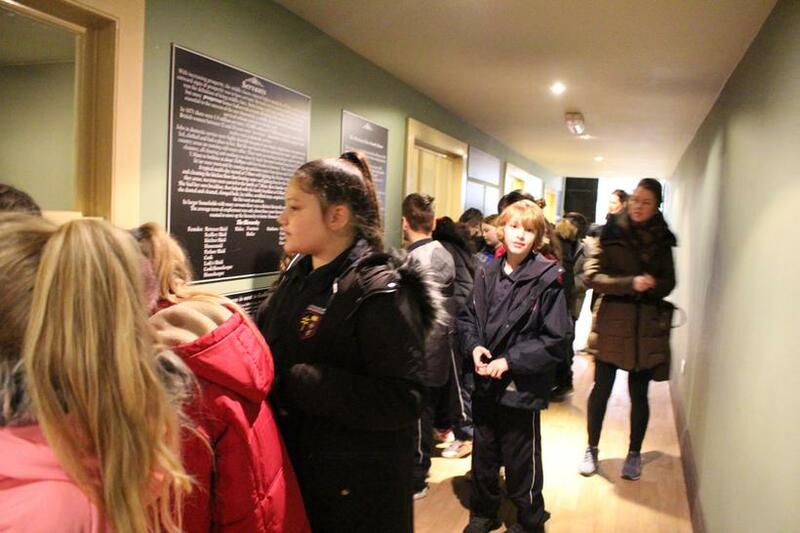 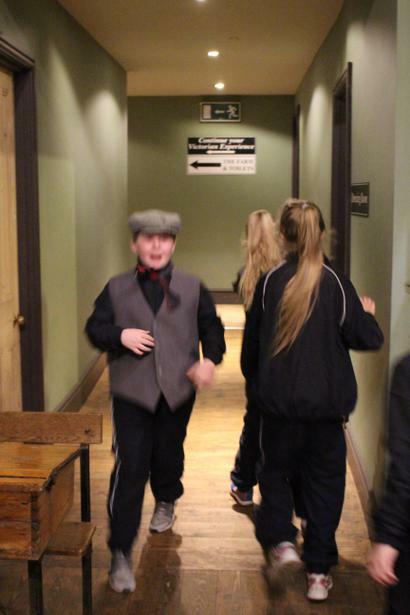 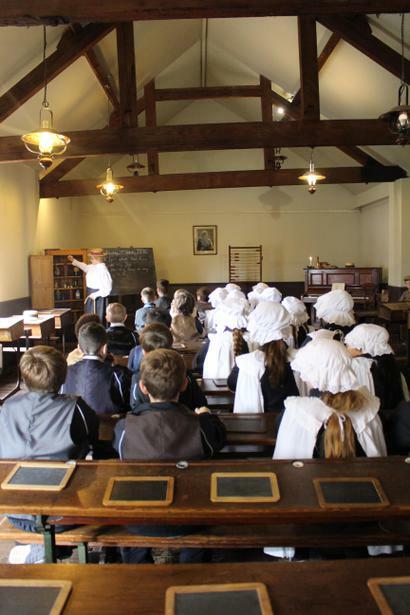 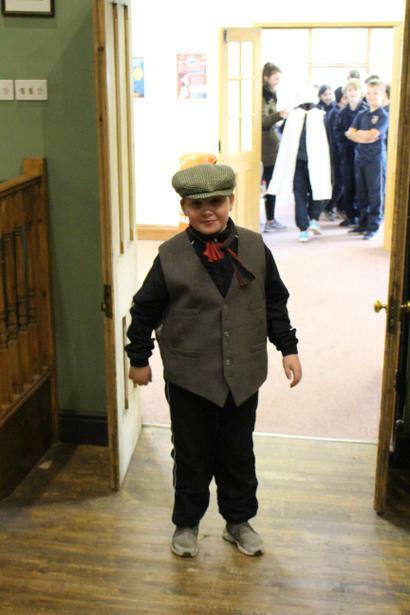 Firstly, we spent a lesson in a traditional Victorian school with a very strict Headteacher! 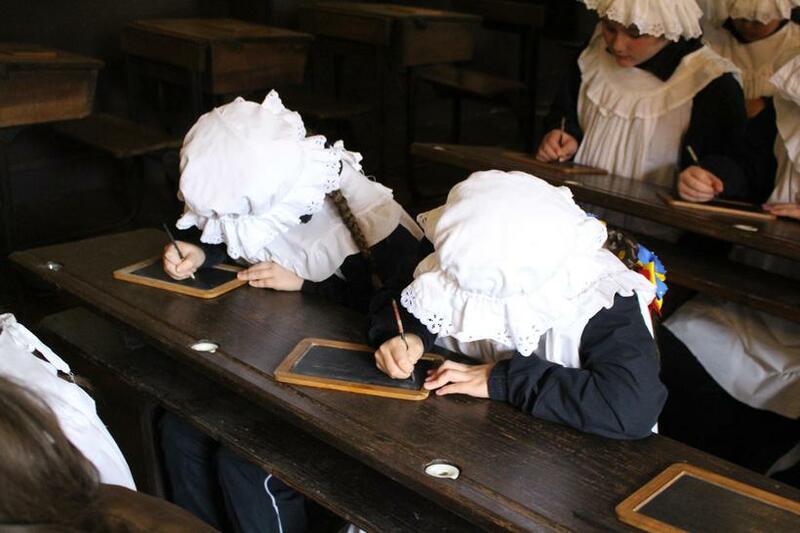 We learnt all about our ‘three r’s’ and had to be up to speed on our times tables, which was great practice. 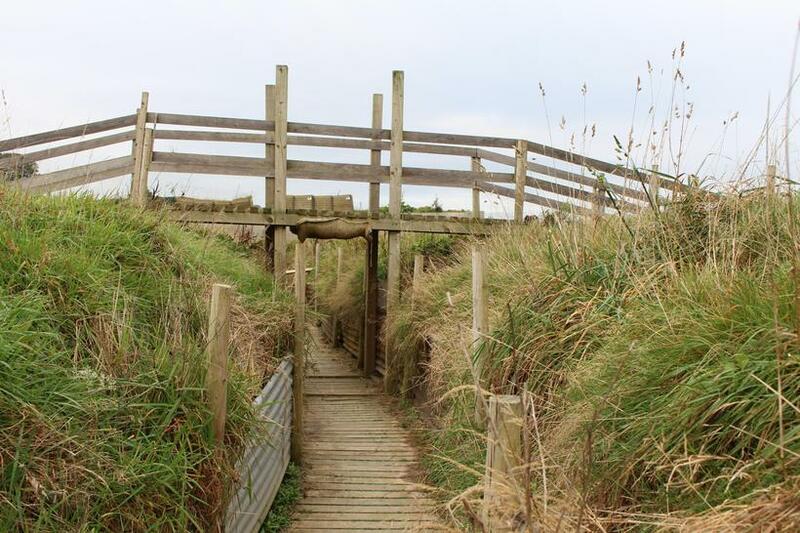 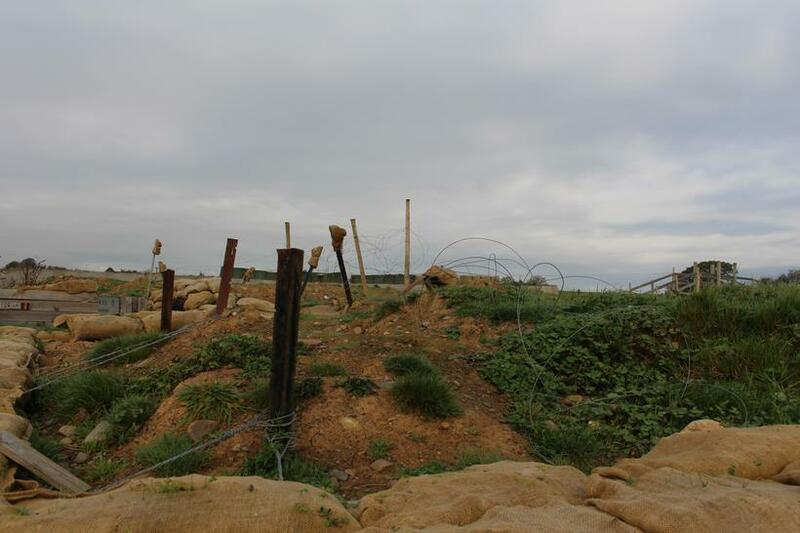 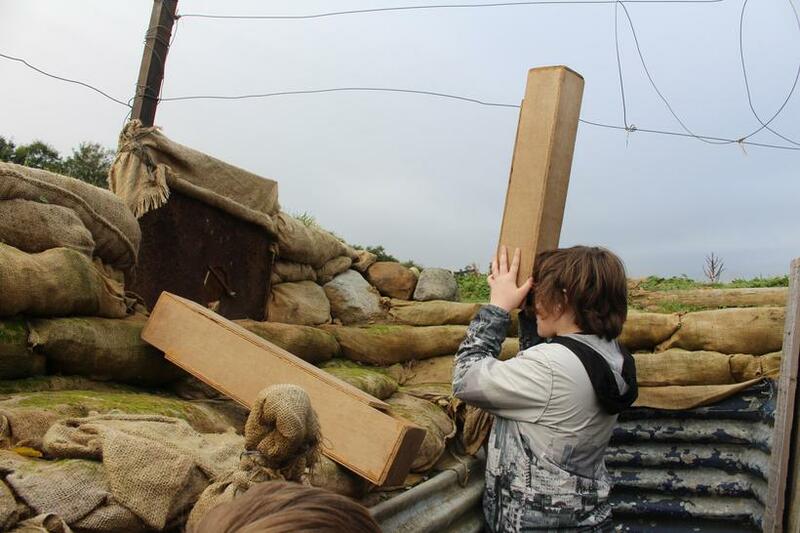 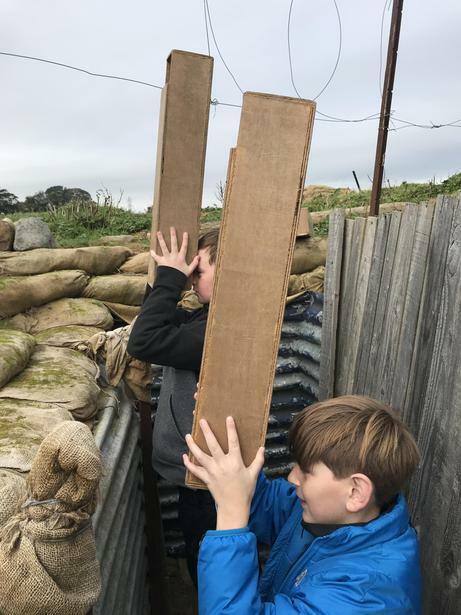 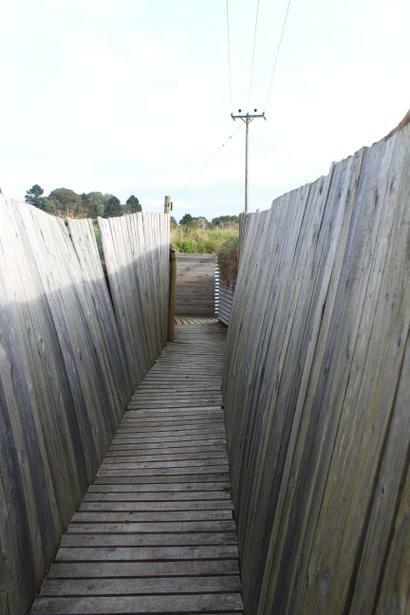 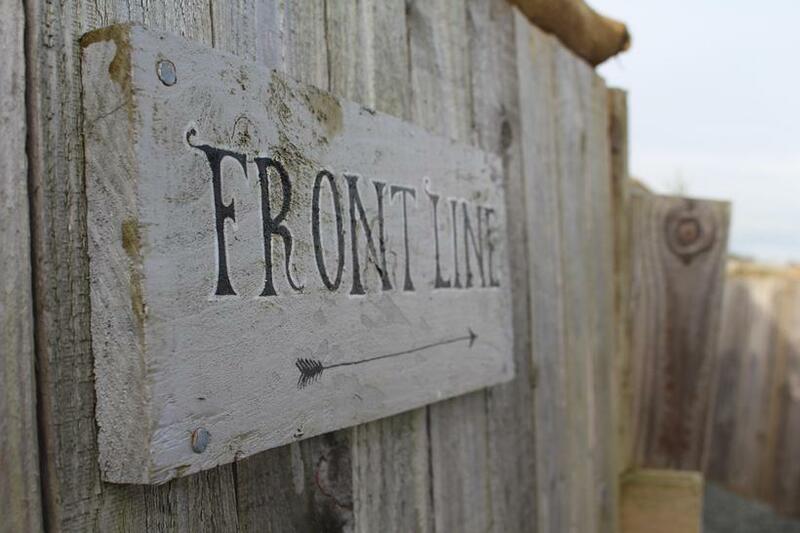 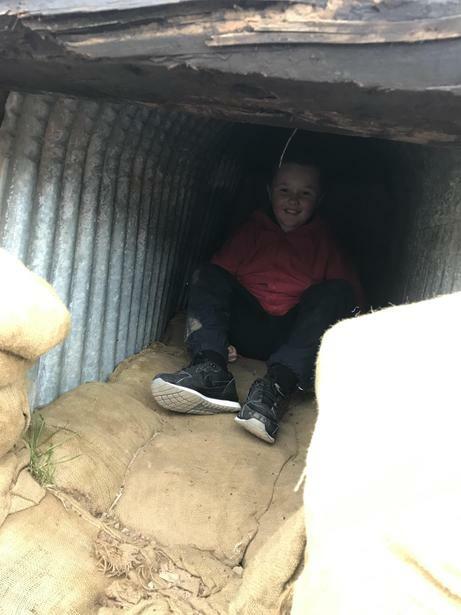 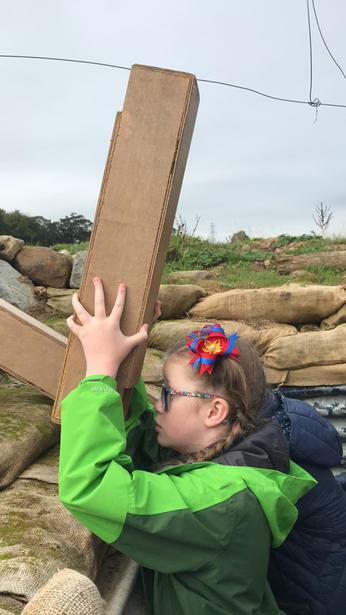 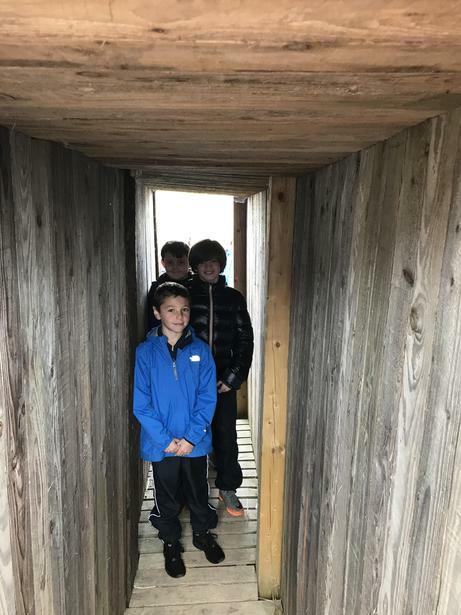 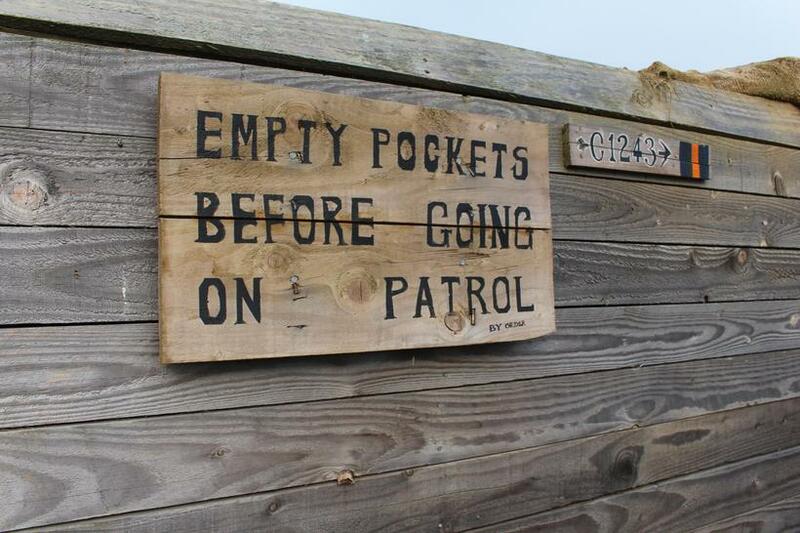 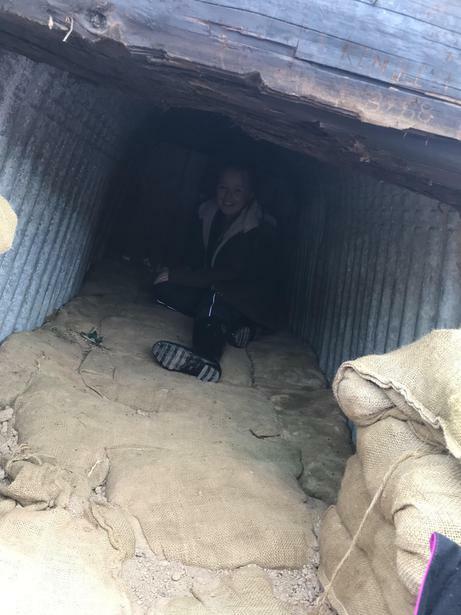 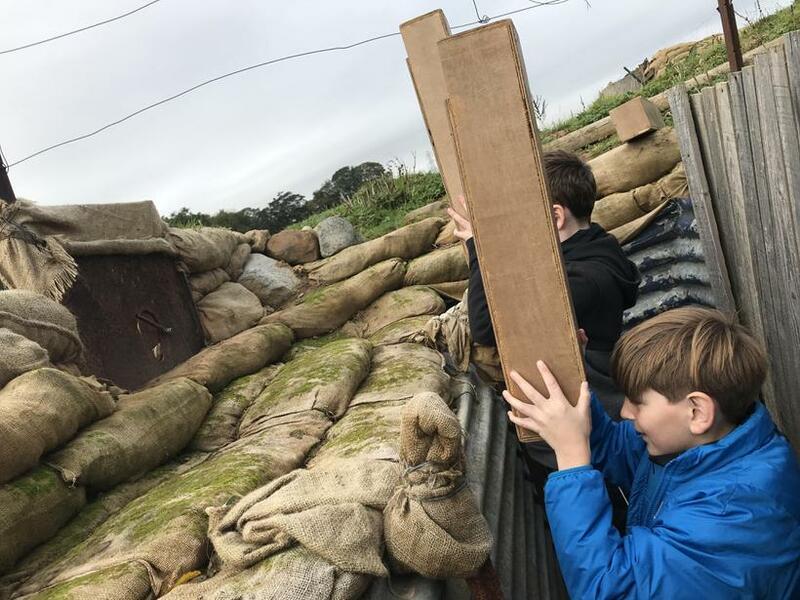 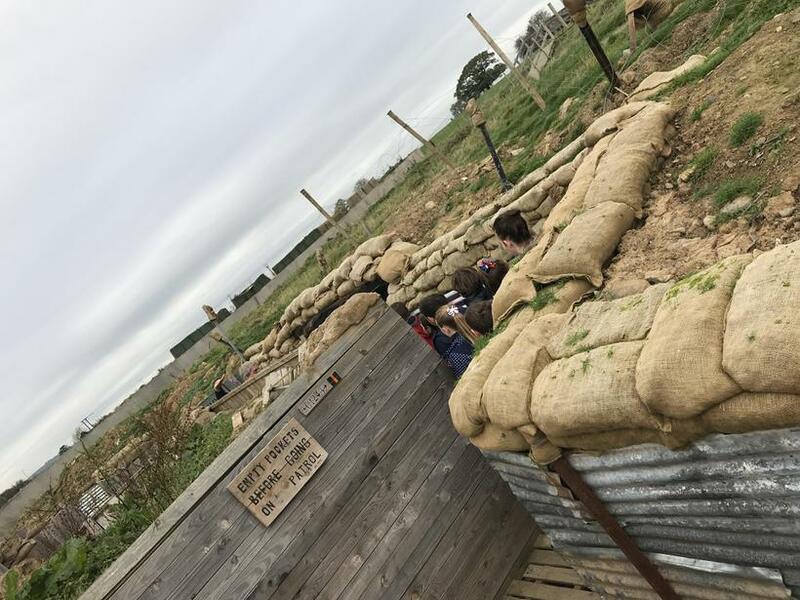 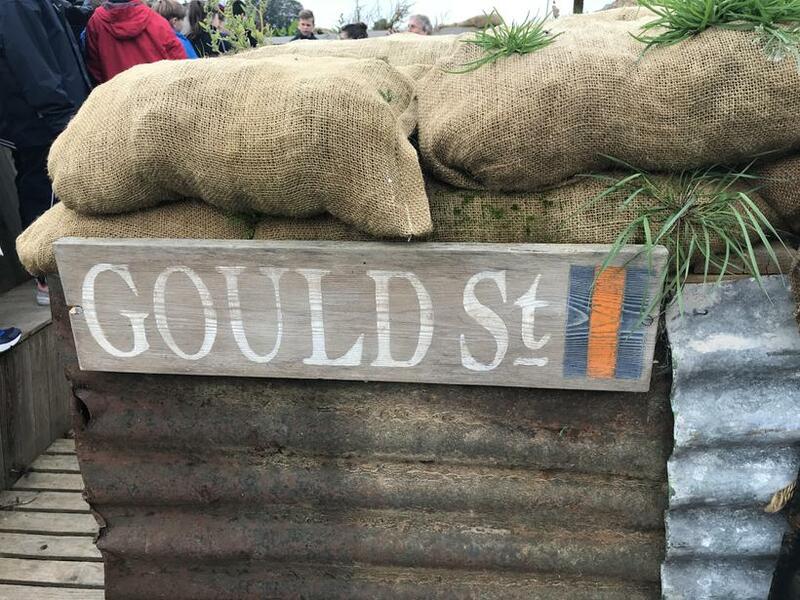 The best was yet to come: a tour around World War I trenches, with everything from: soldier’s bunk beds; fire trenches; periscopes; No Man’s Land. 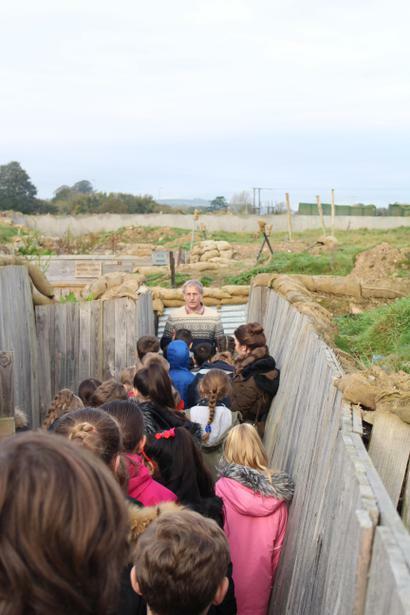 It was a great experience – one I’ll never forget! 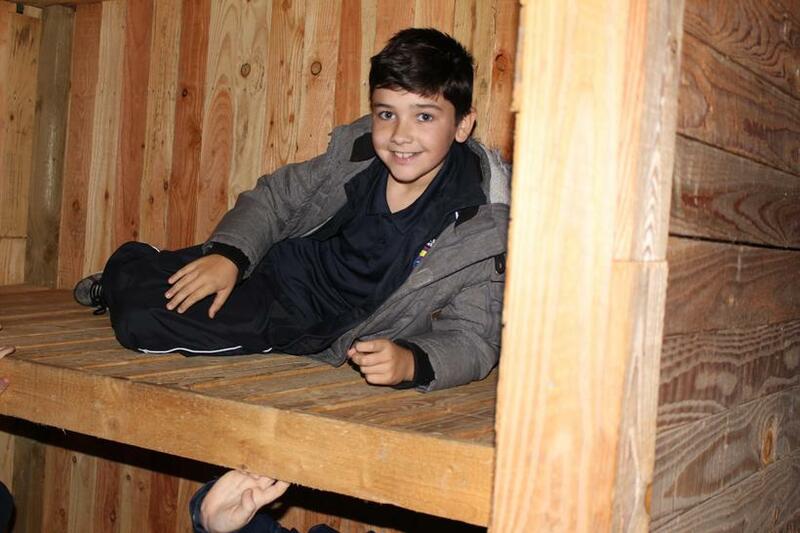 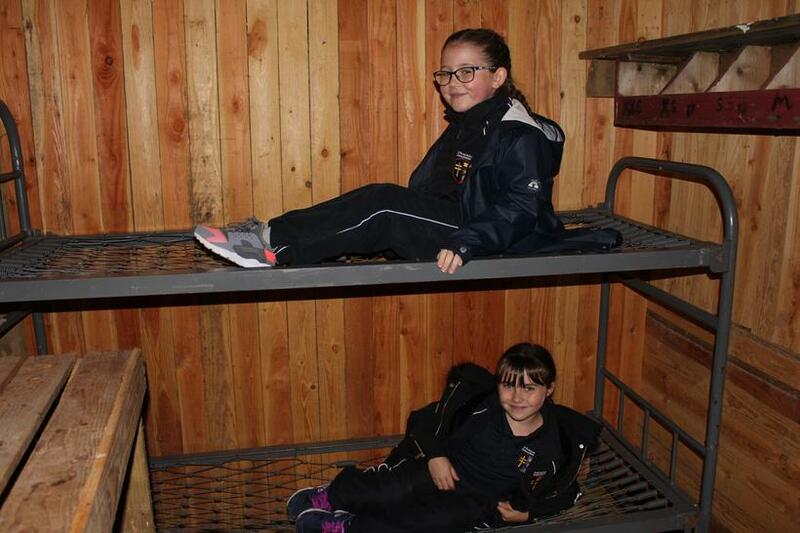 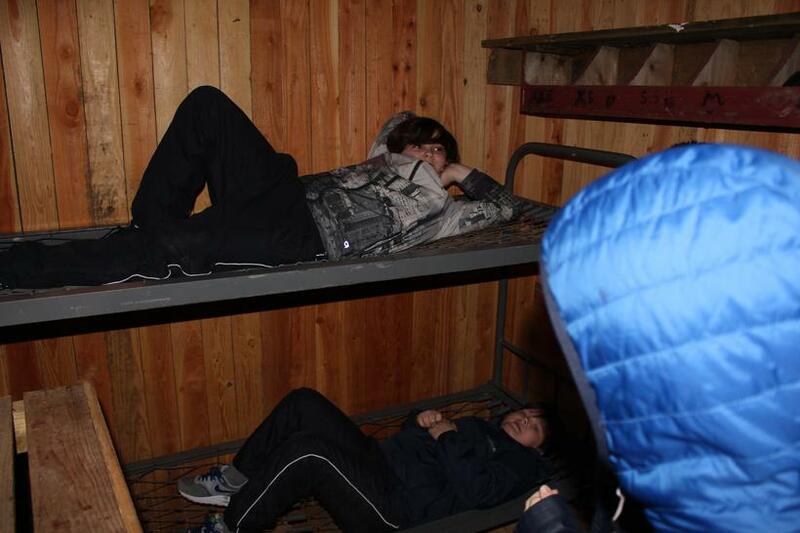 The best part was when we saw the bunk beds that all the different soldiers slept in at night. 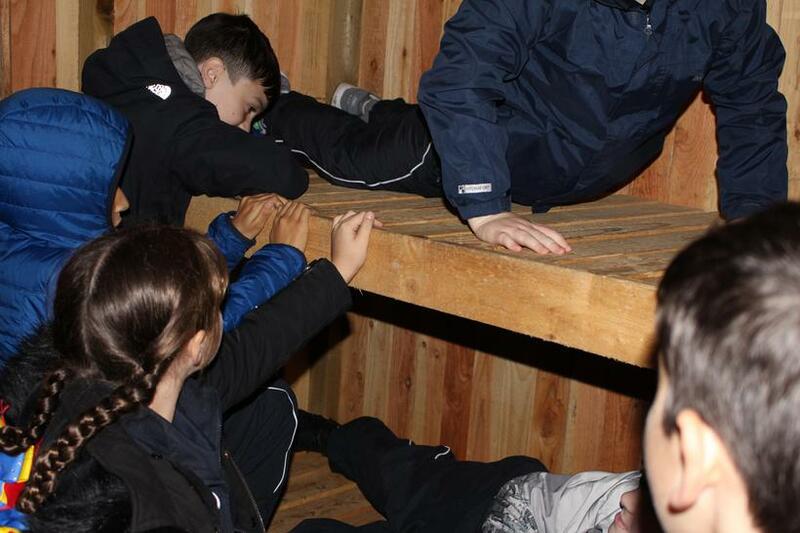 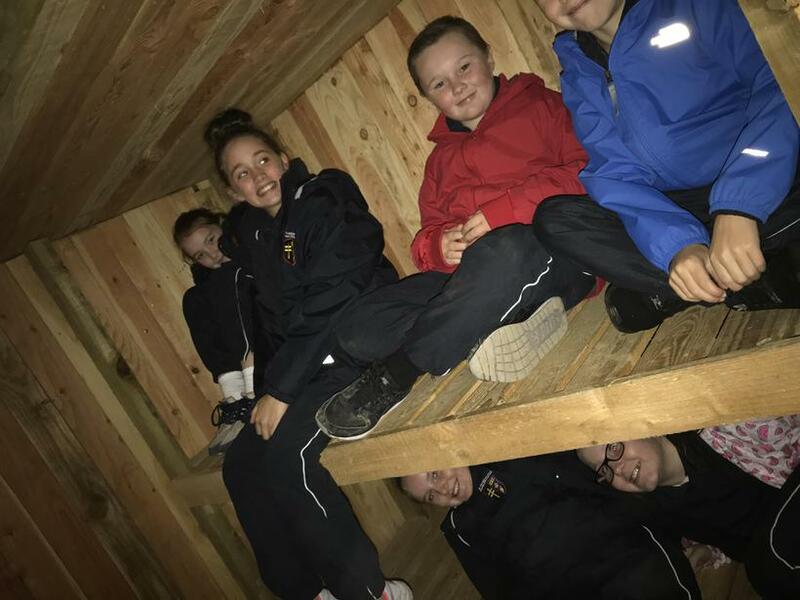 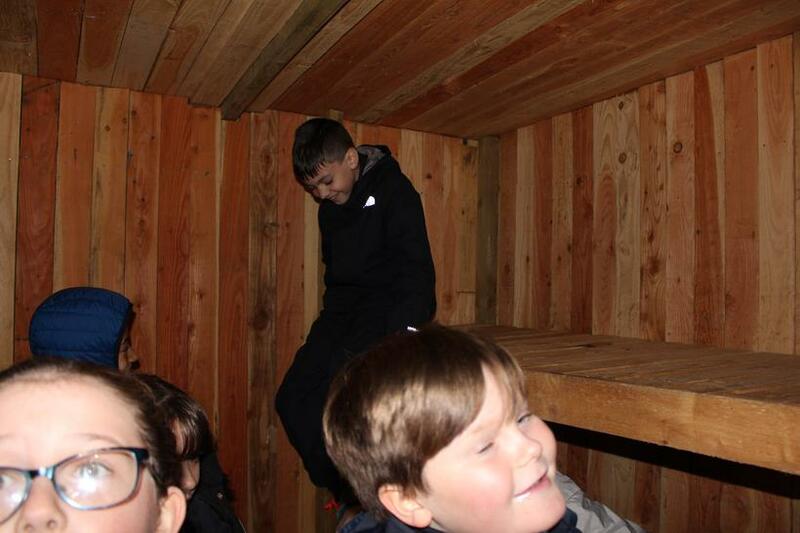 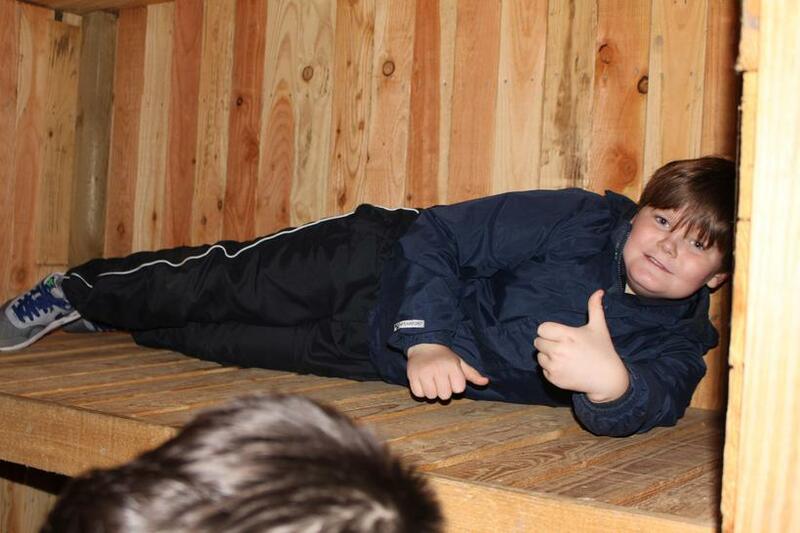 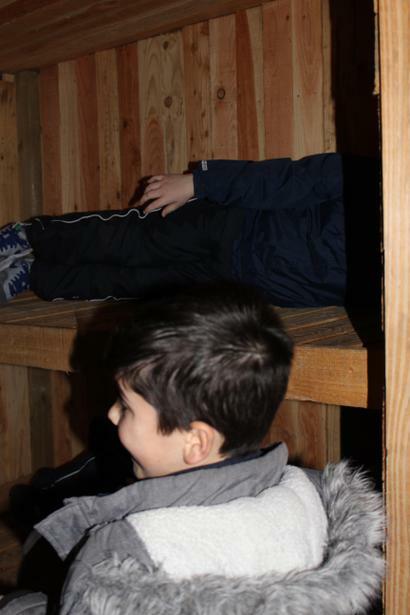 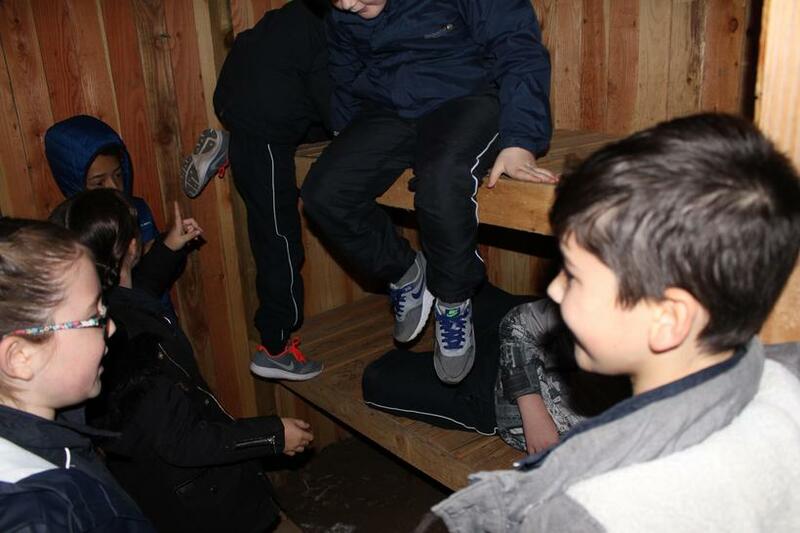 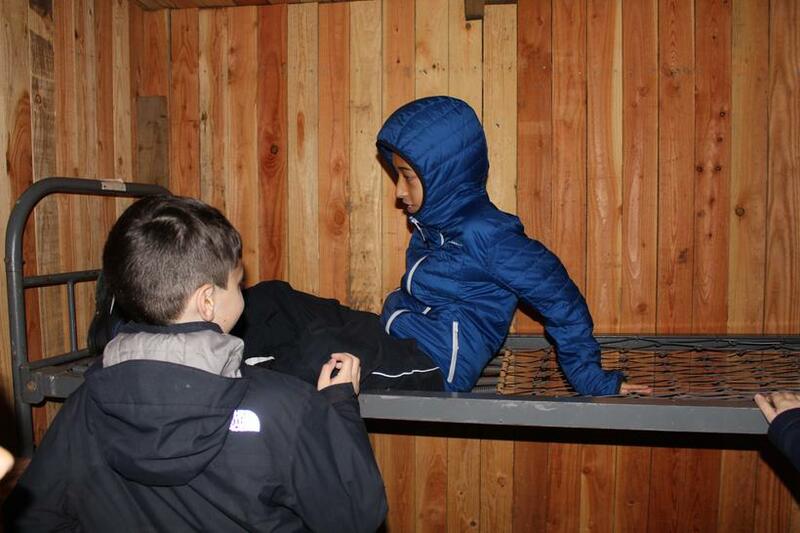 We learned that in the bunk beds, there weren’t any mattresses and it was very dark!